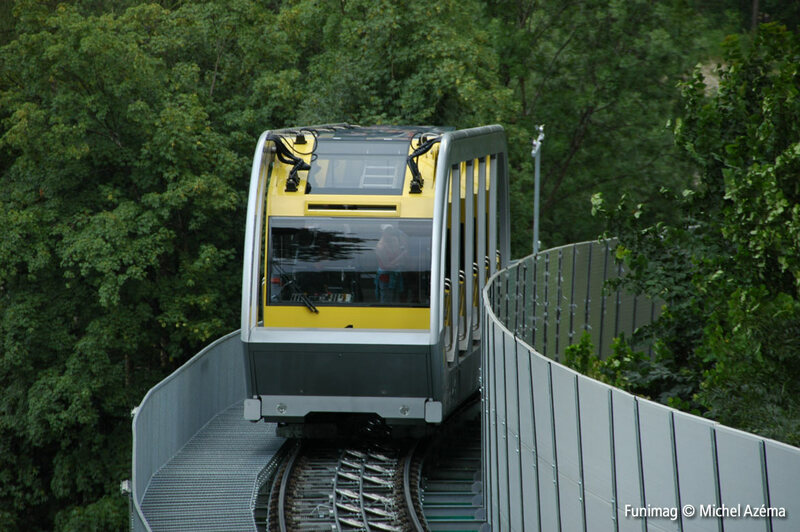 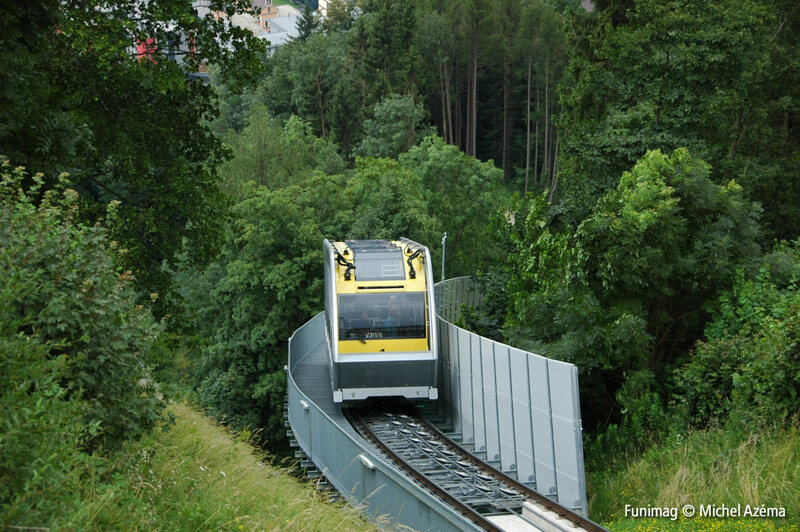 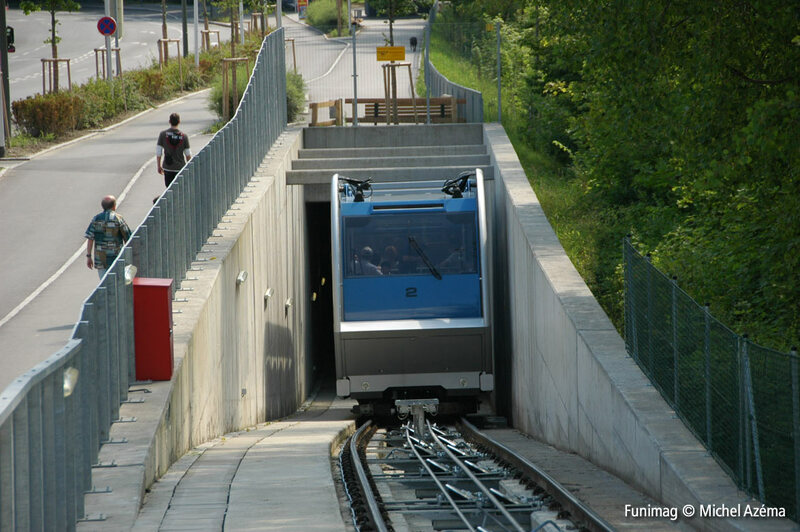 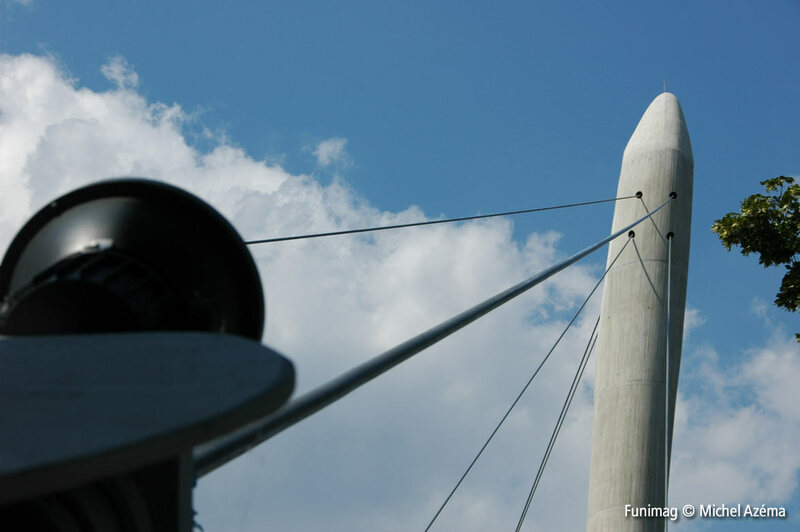 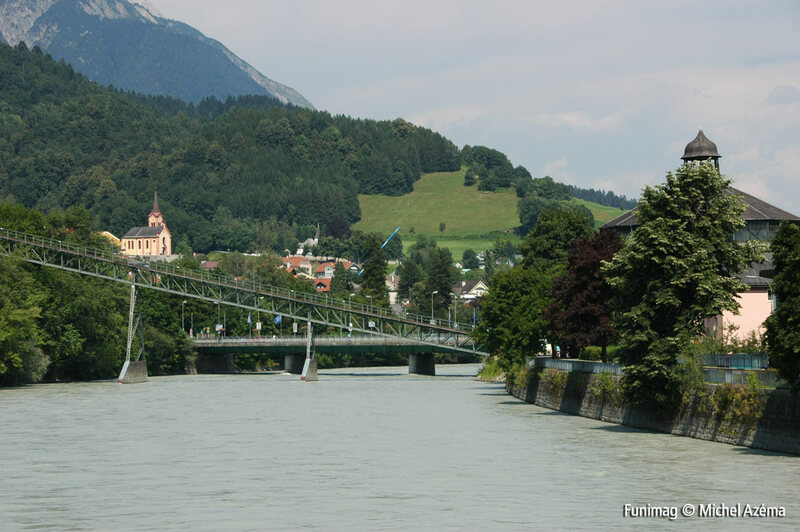 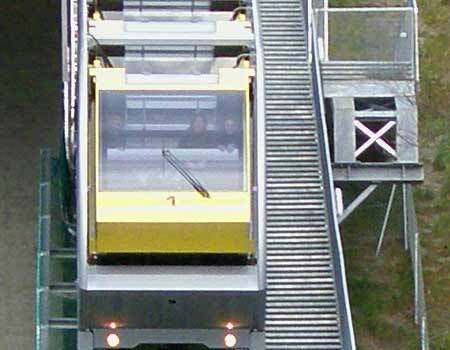 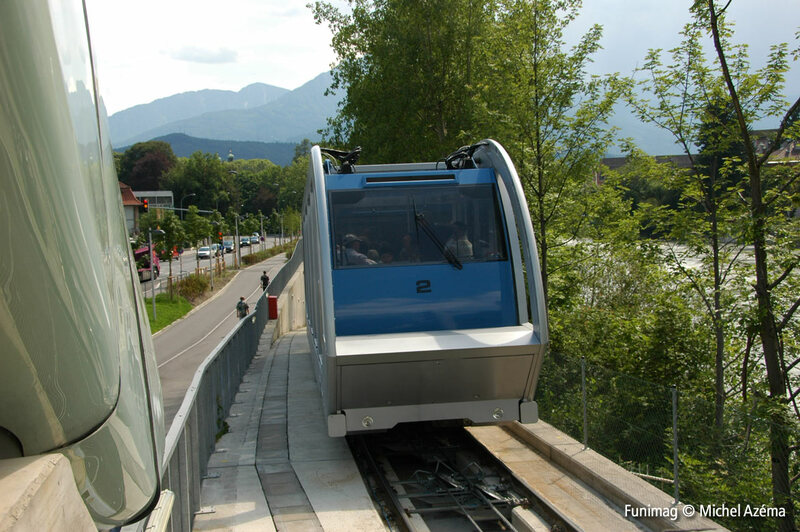 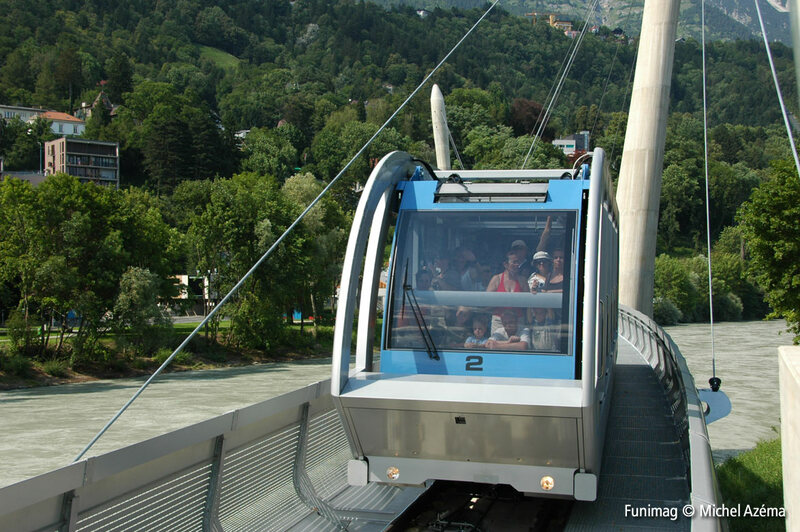 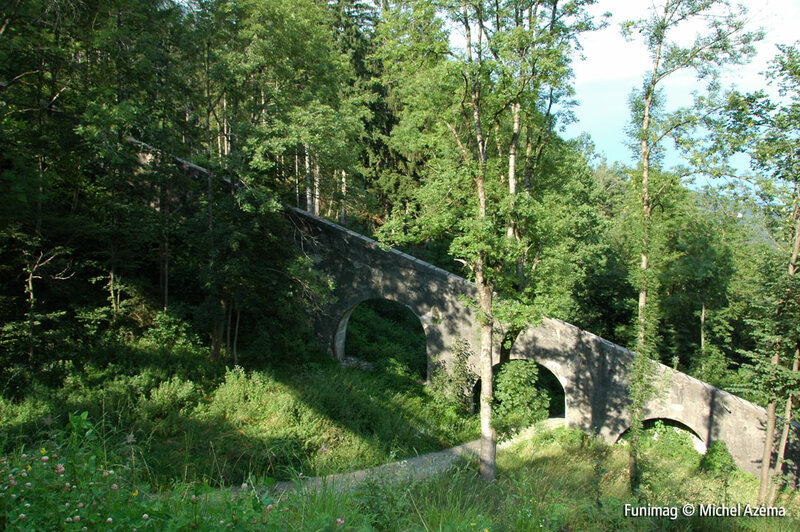 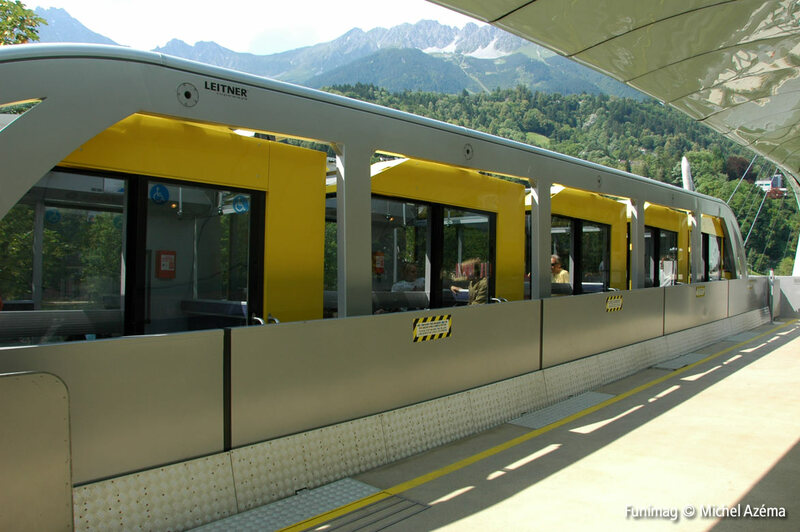 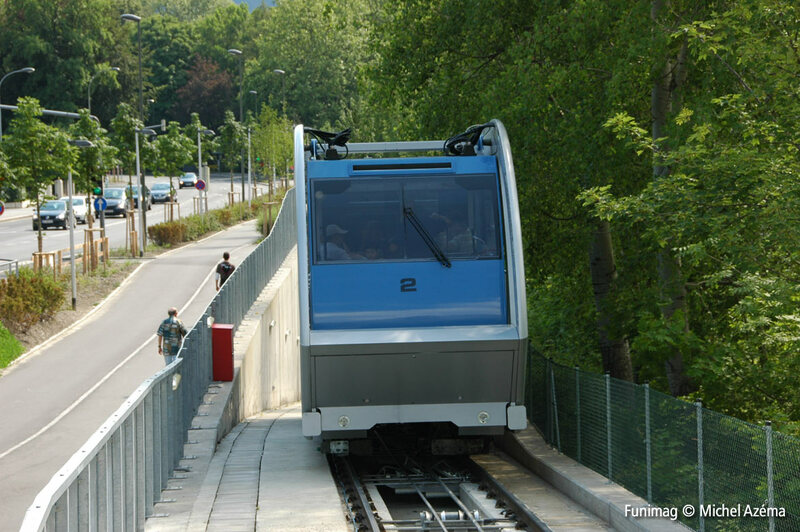 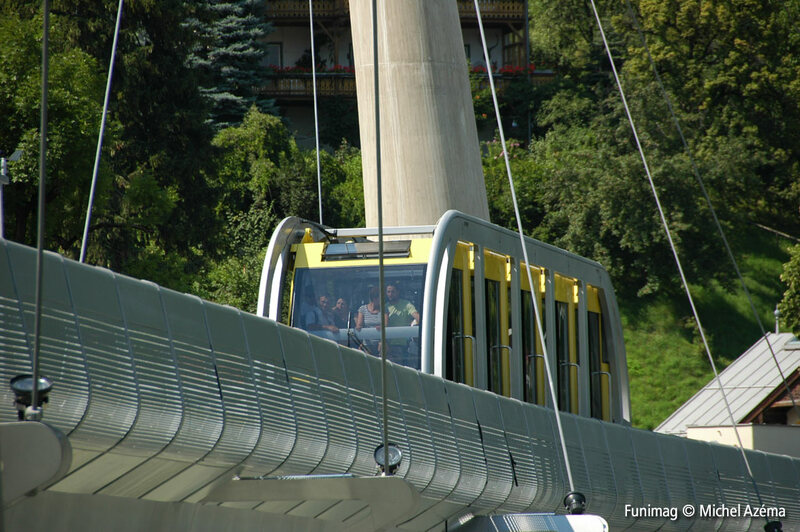 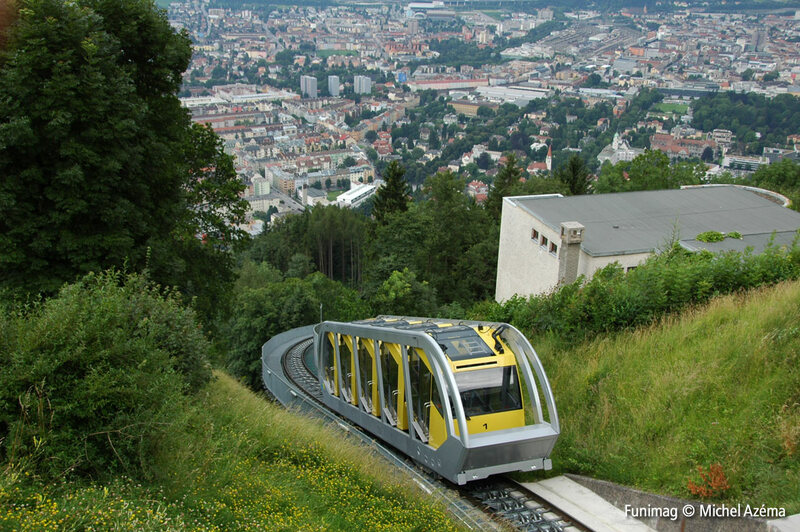 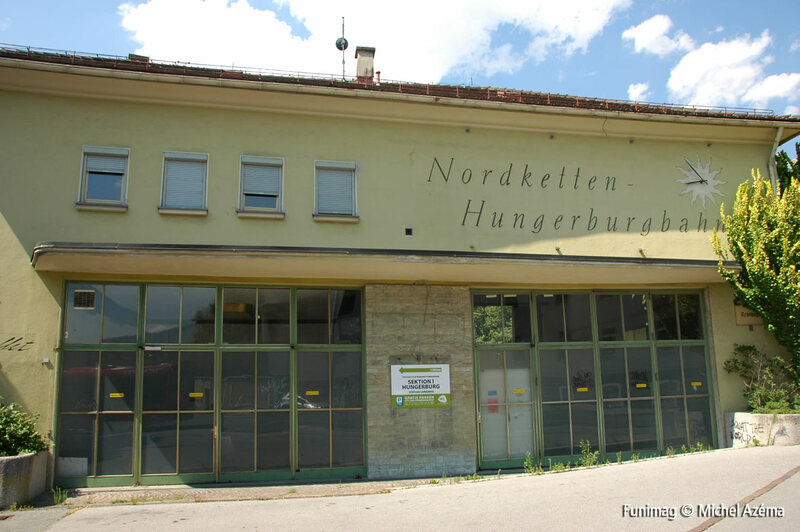 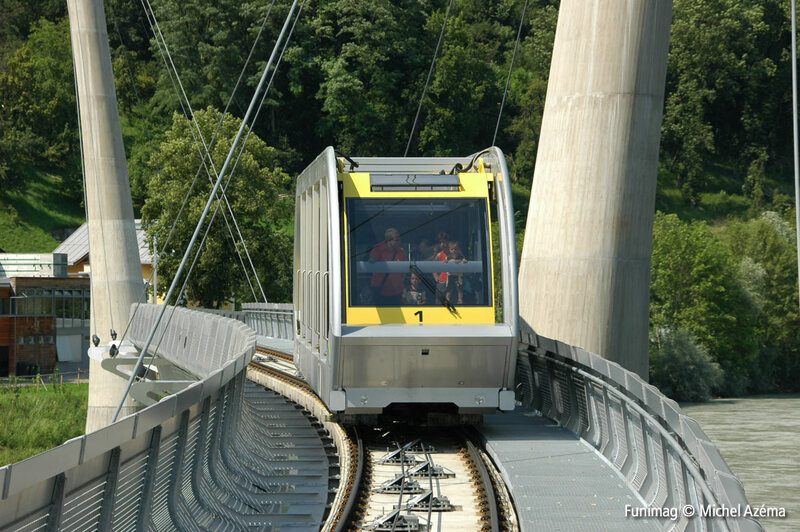 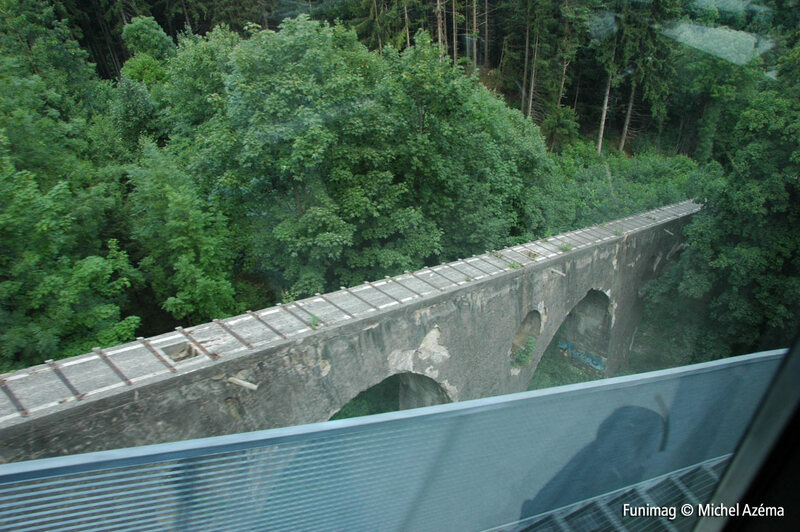 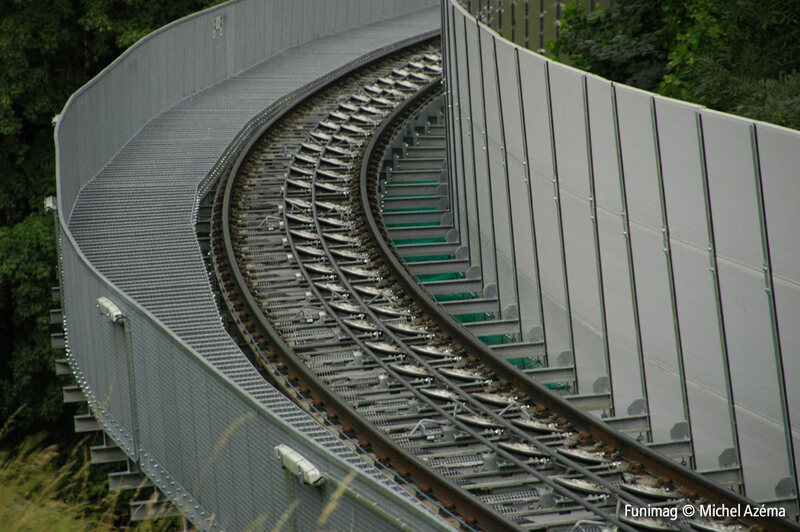 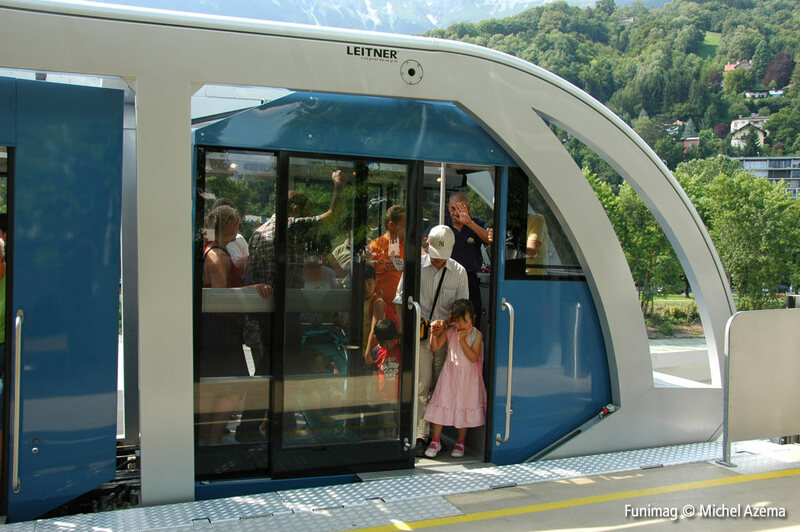 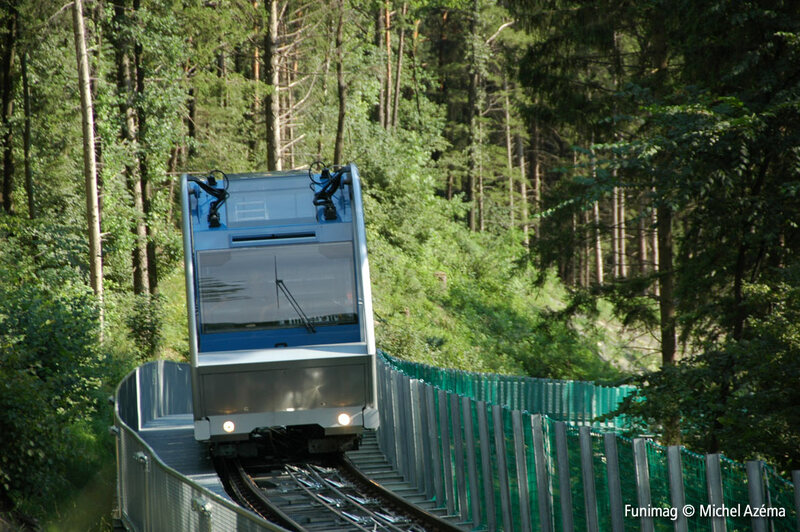 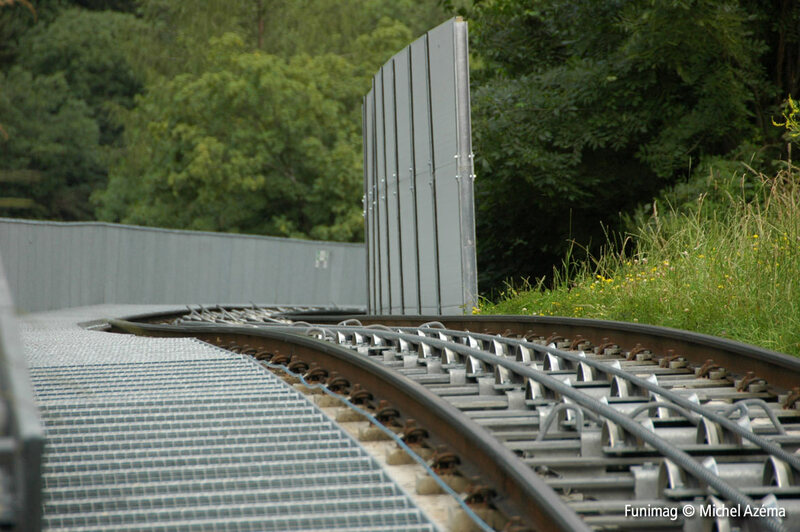 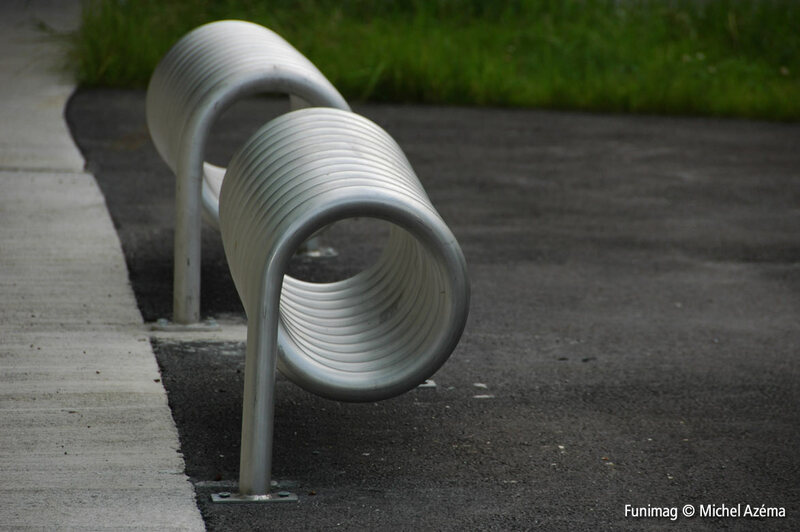 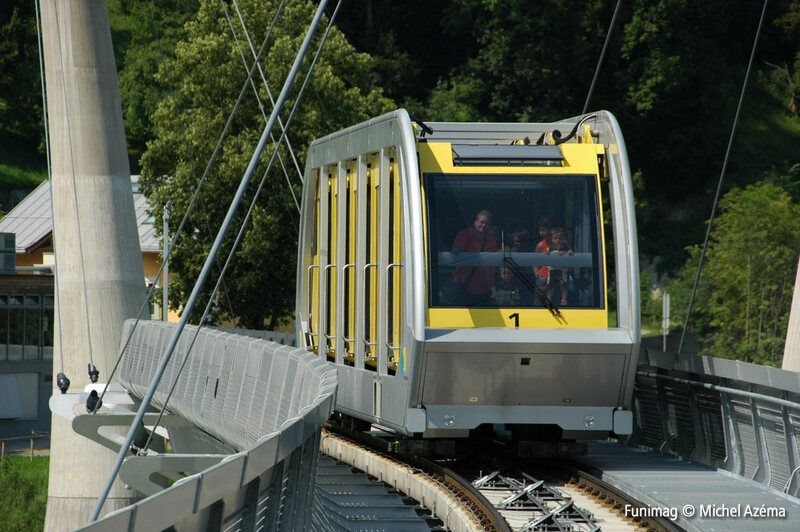 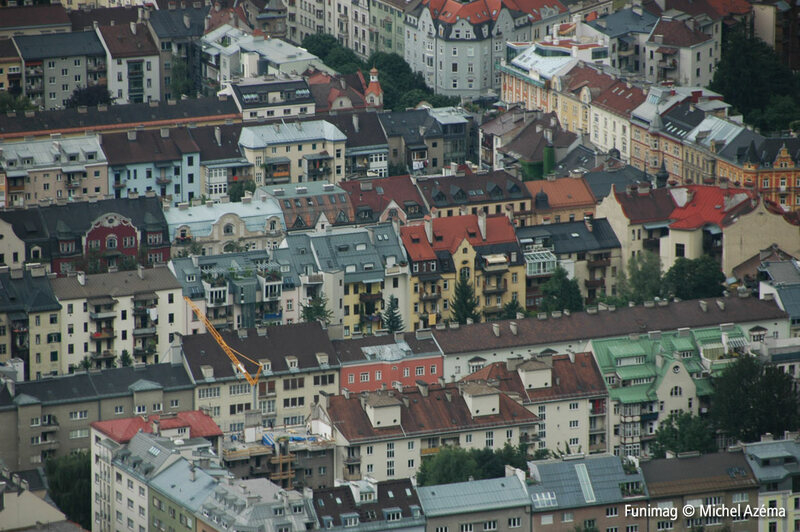 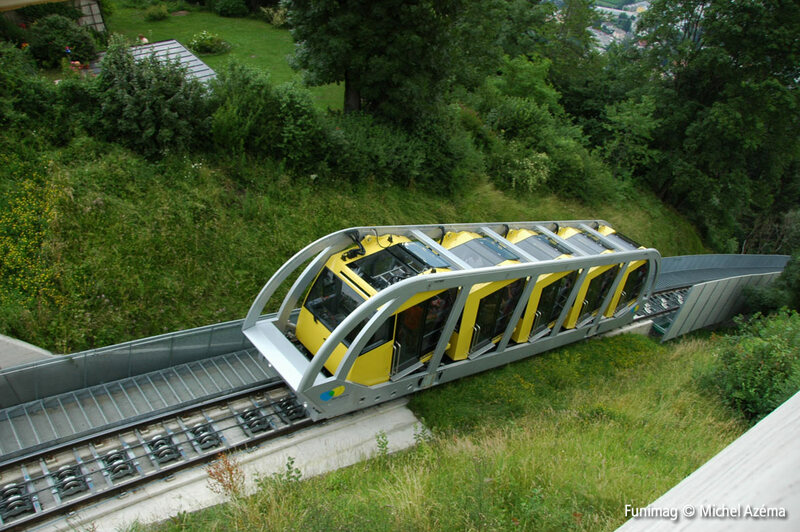 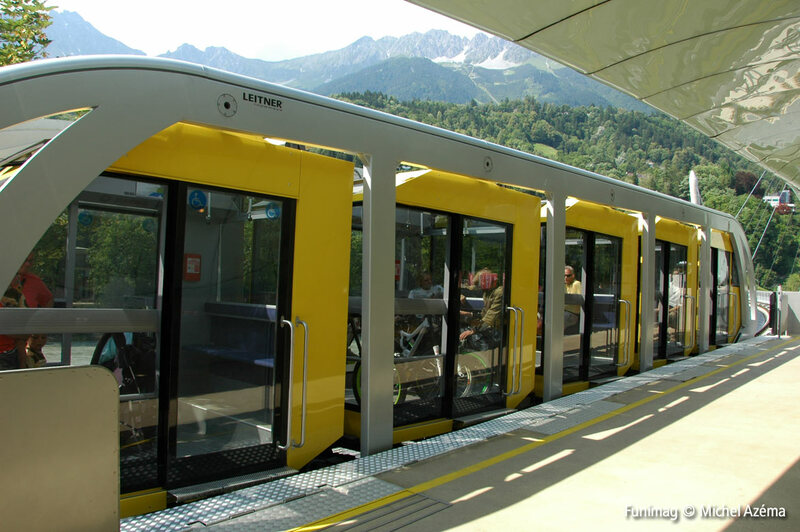 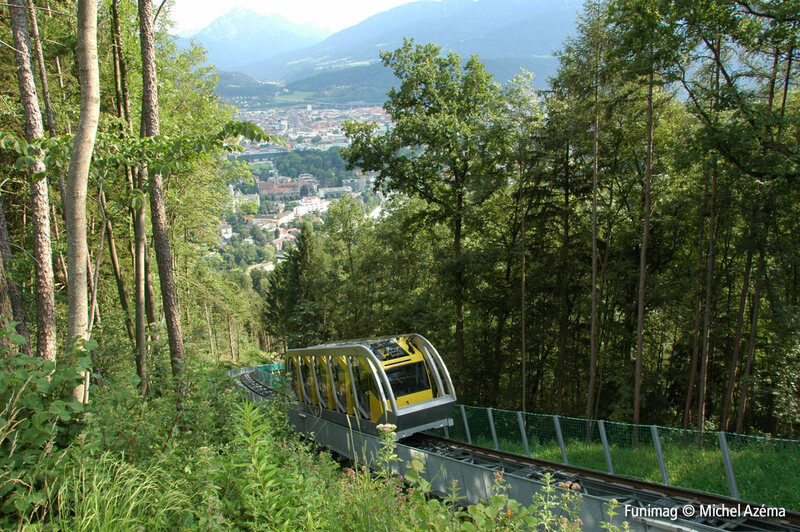 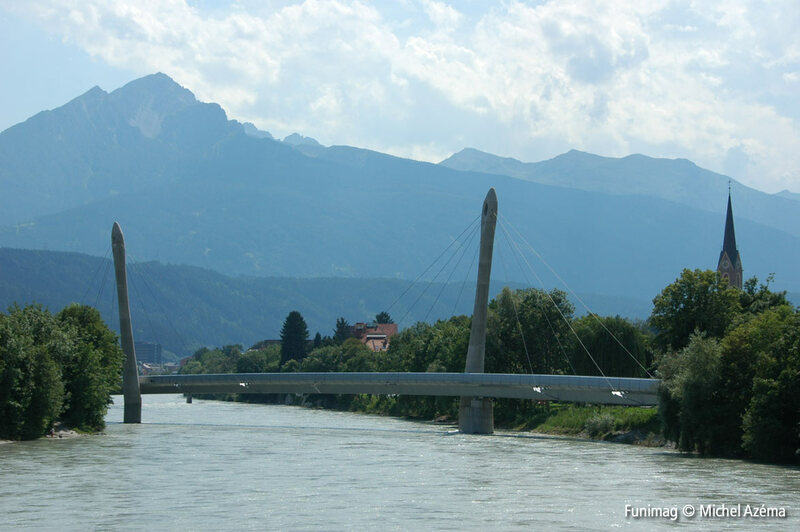 Here is the second part of my visit to Innsbruck and the new Hungerburgbahn (July 11, 2008). 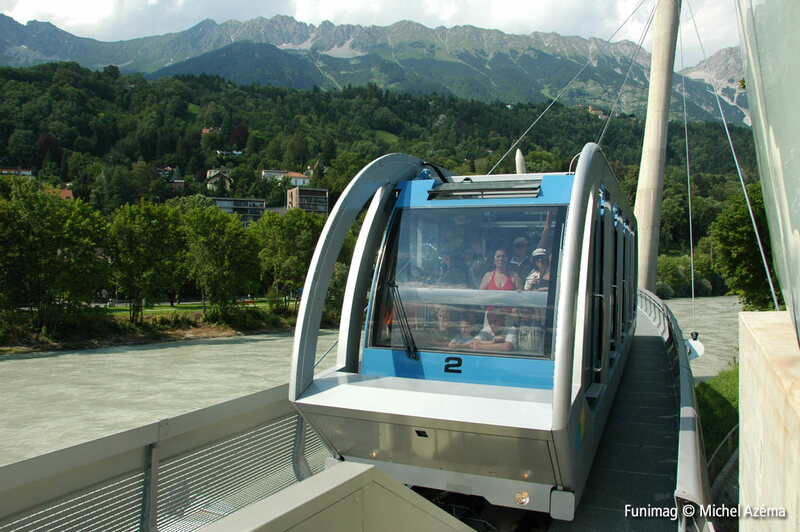 July 2008, I was in Innsbruck for a short time… just enought to visit the Hungerburgbahn after it was rebuilt and reopened on December 2nd, 2007. 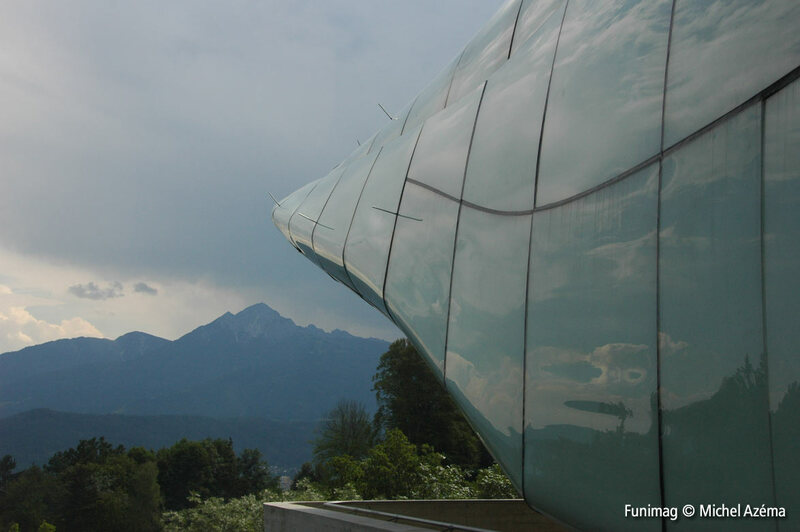 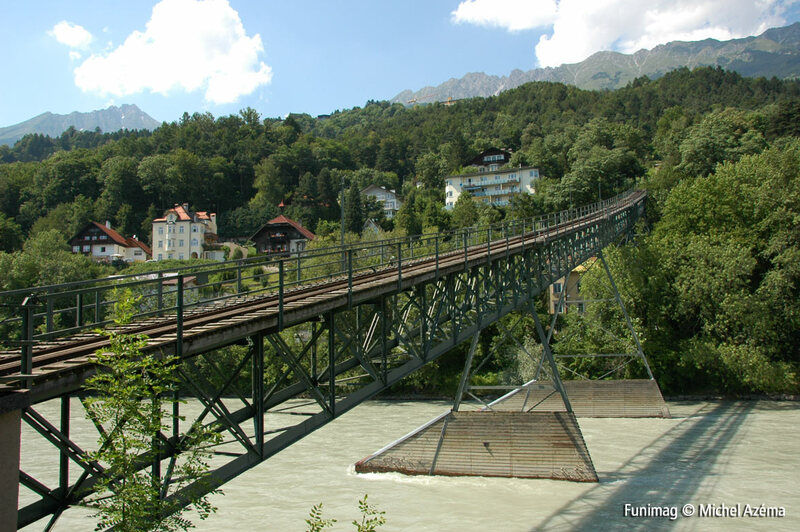 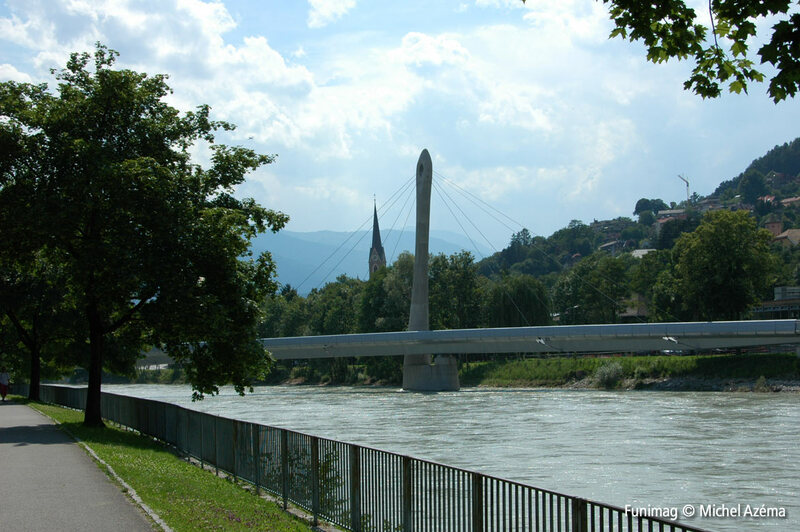 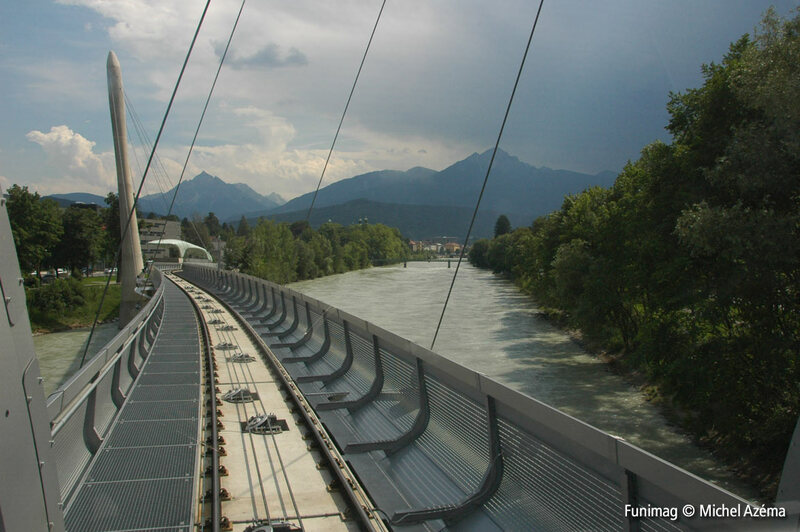 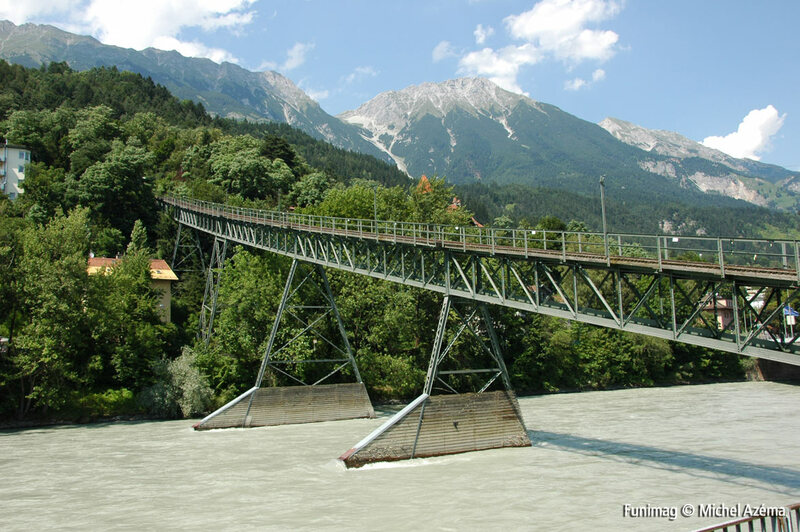 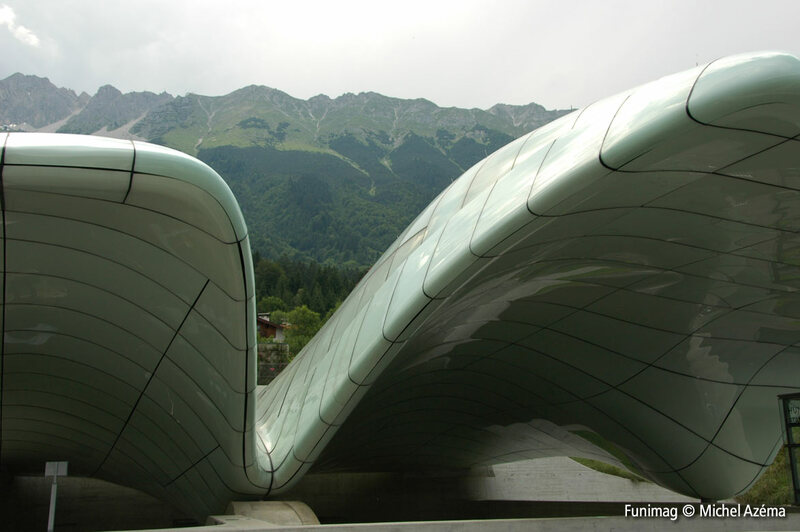 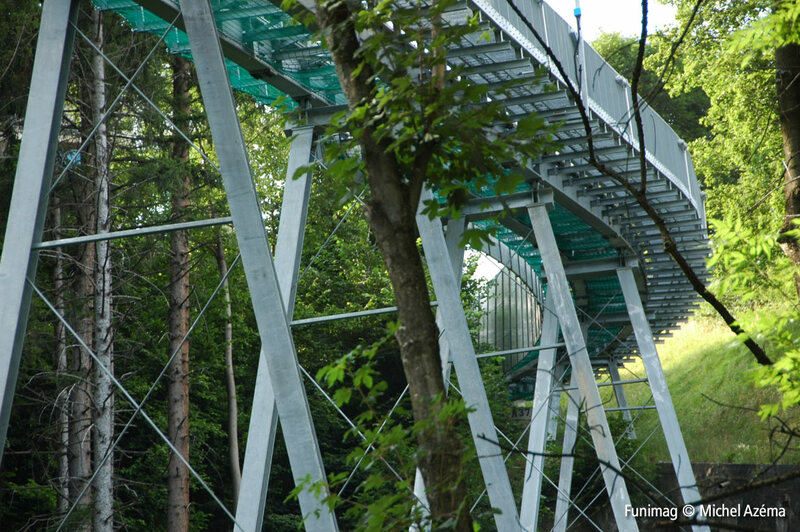 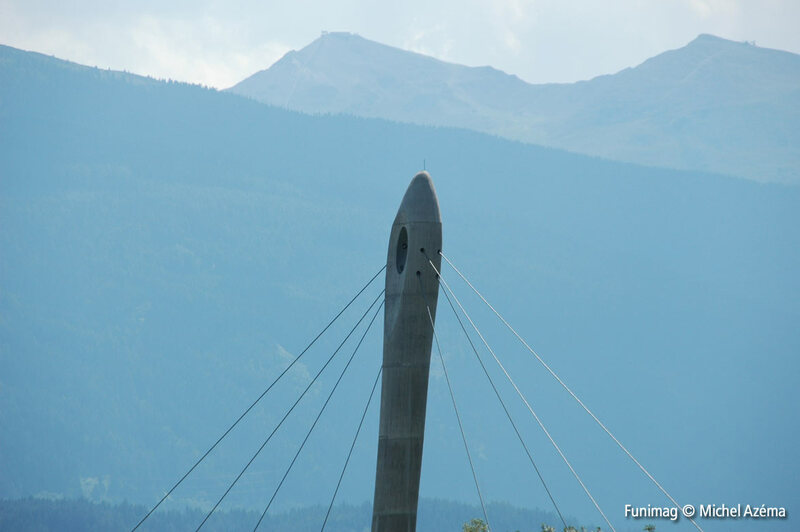 Of course it is the bridge of the new Hungerburgbahn funicular over the Inn river at Innsbruck (Austria) and designed by the Irakian architect Zaha Hadid! 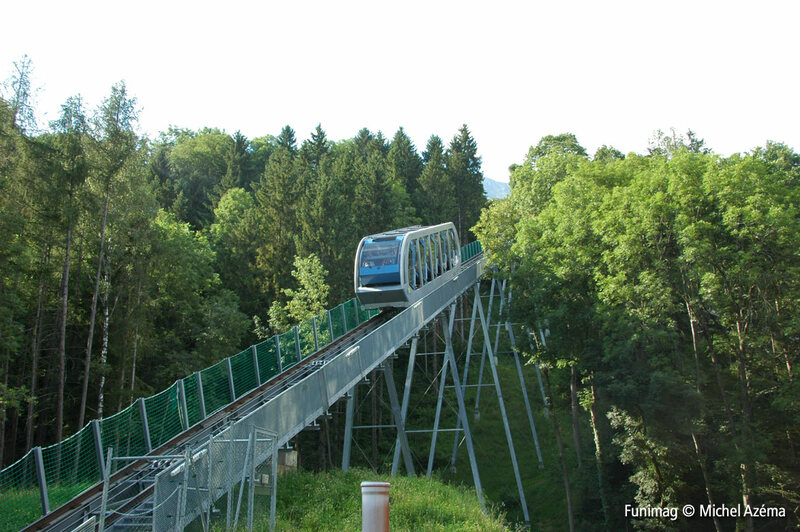 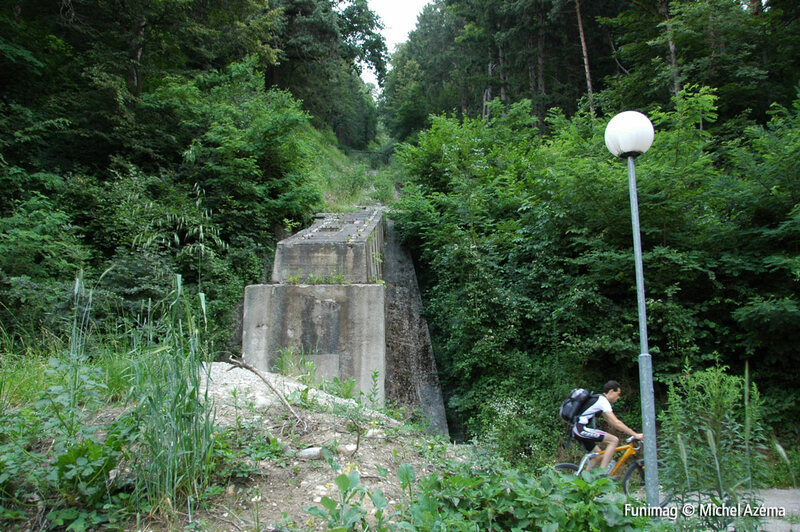 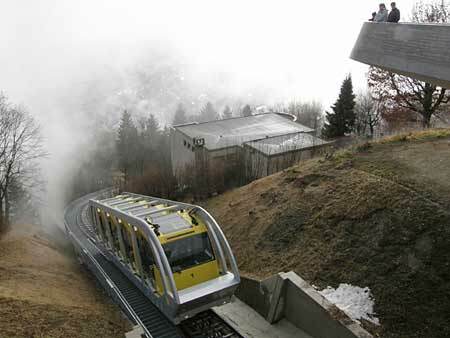 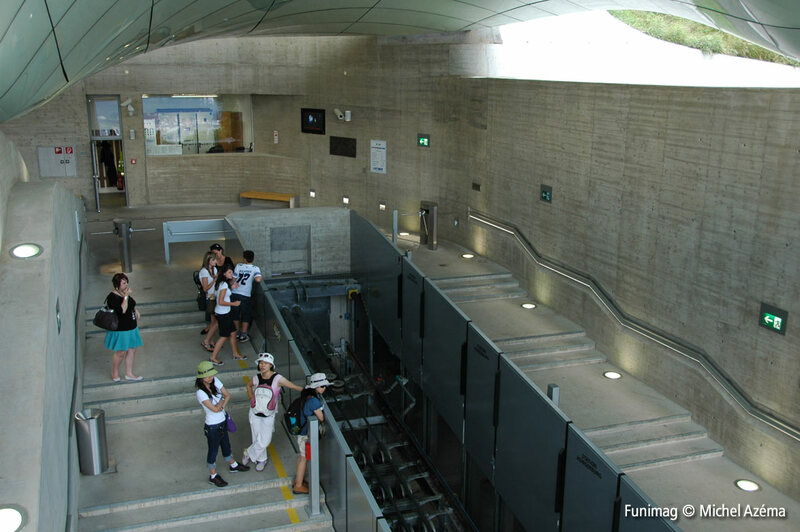 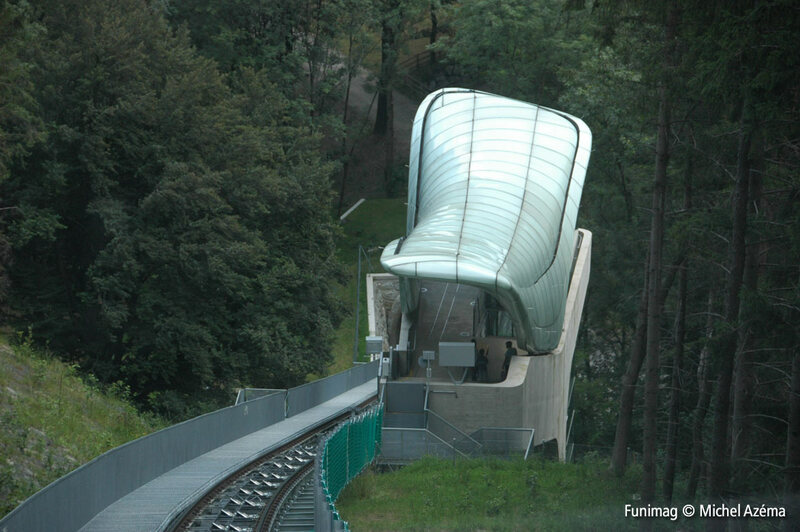 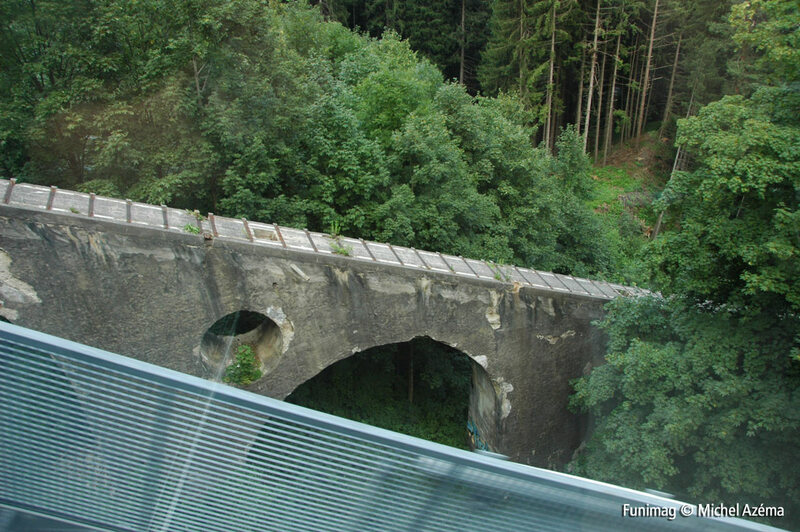 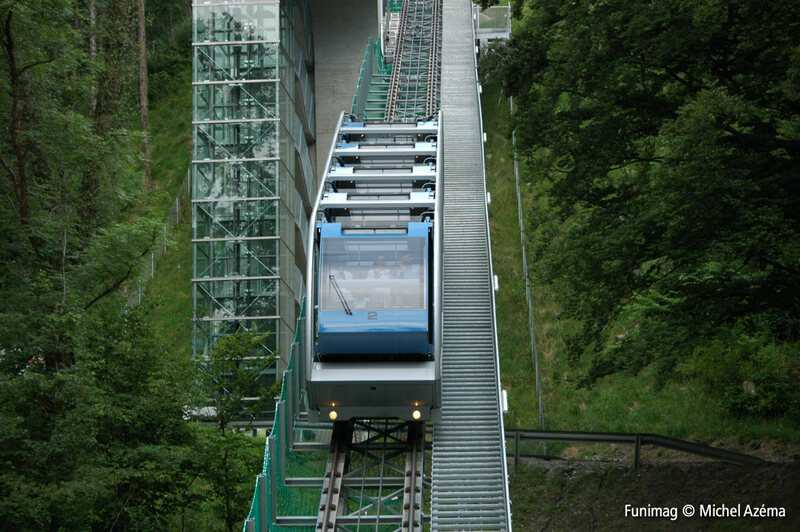 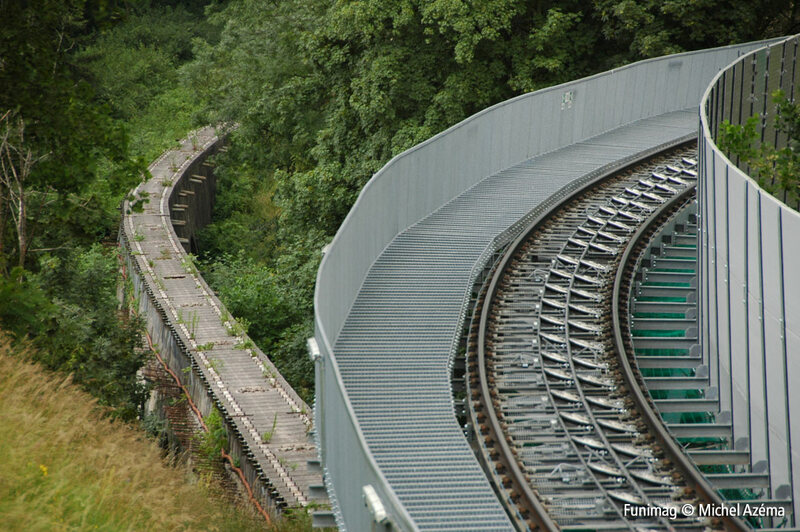 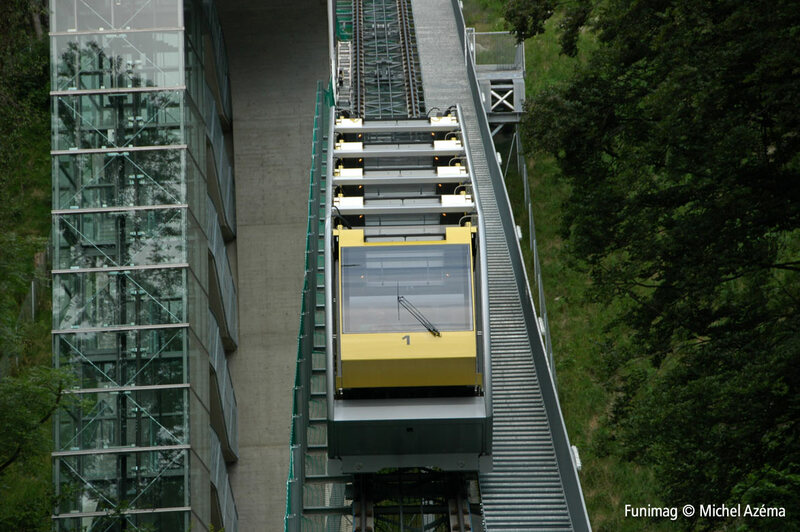 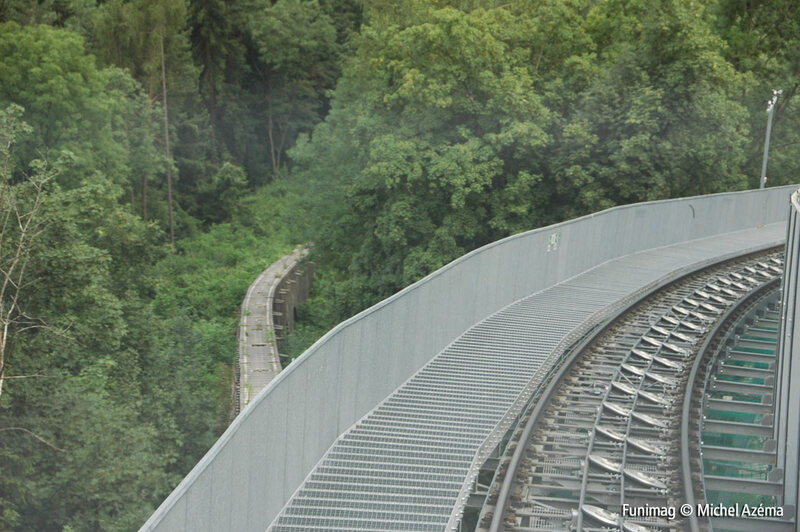 But I was expecting a more complete caption because there is a second funicular on this photo!!! 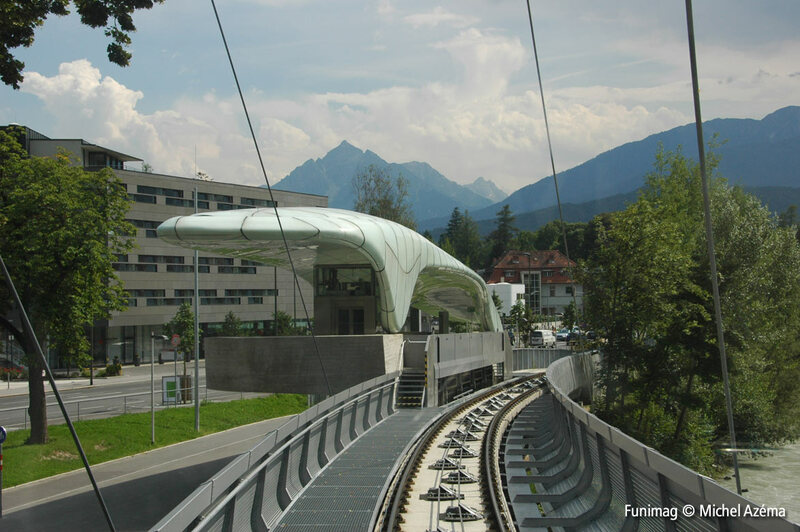 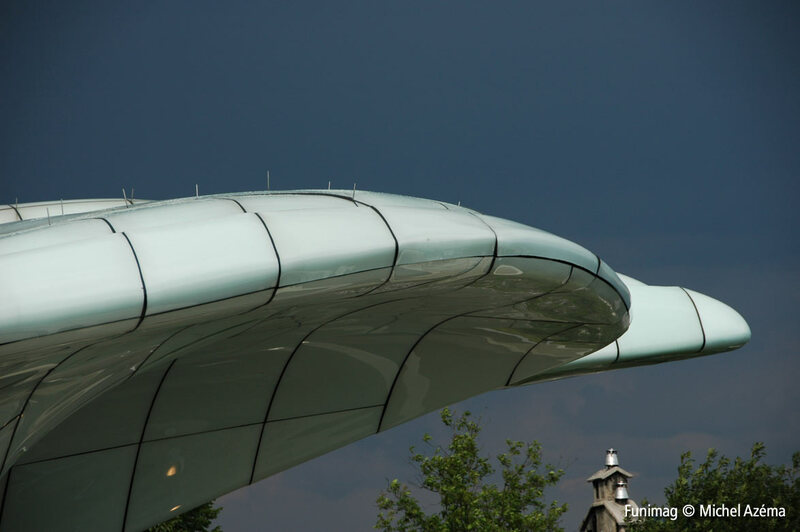 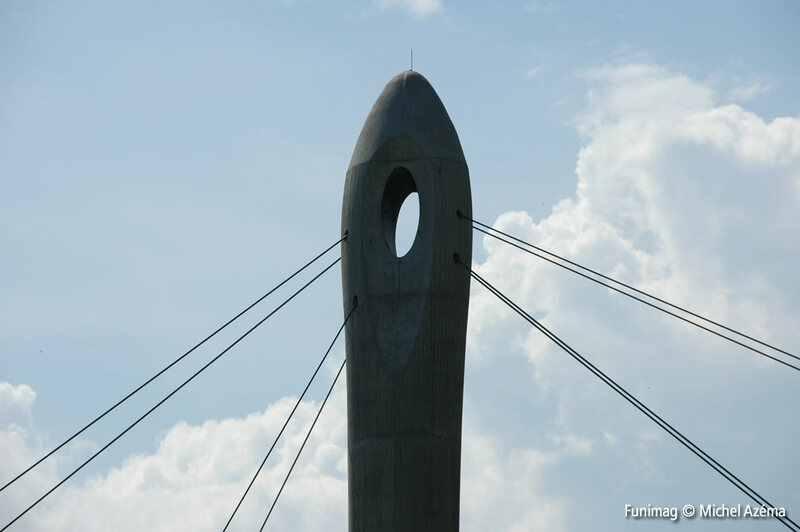 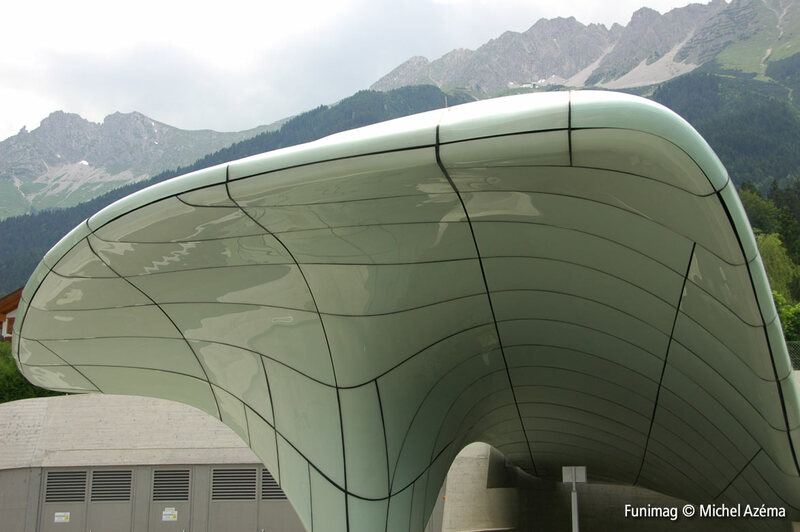 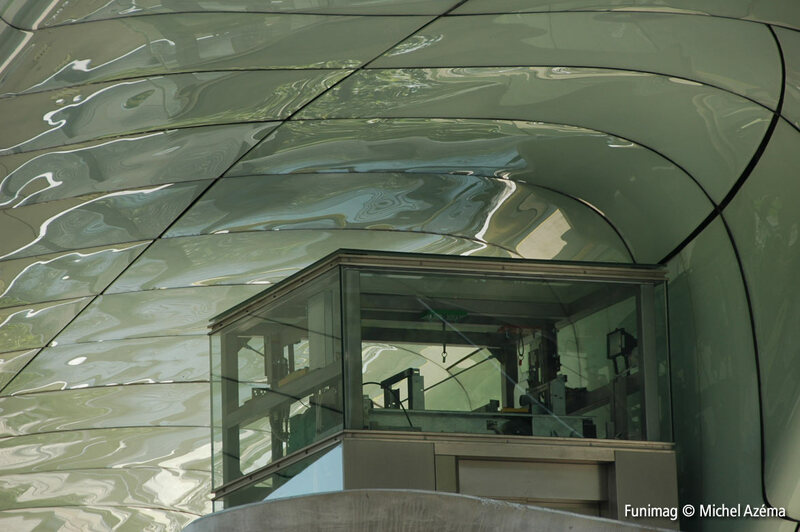 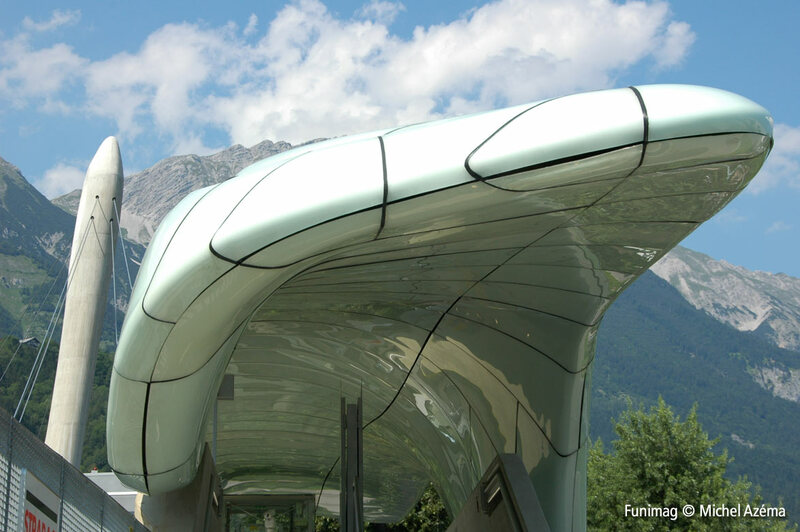 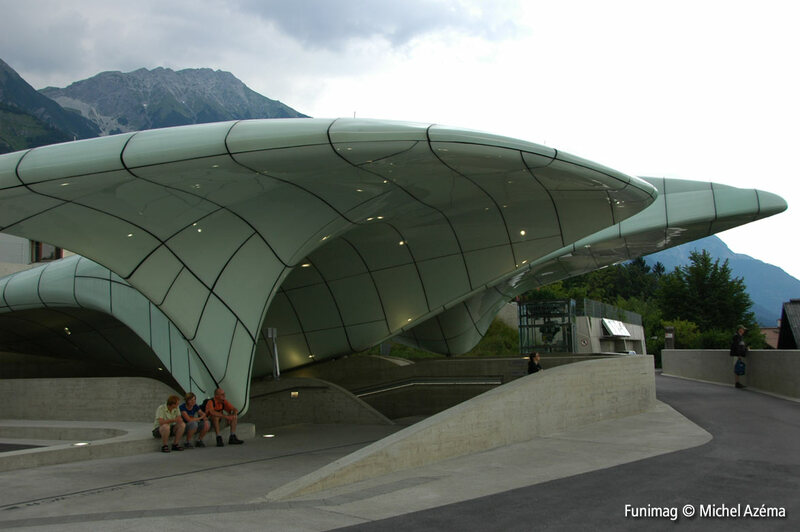 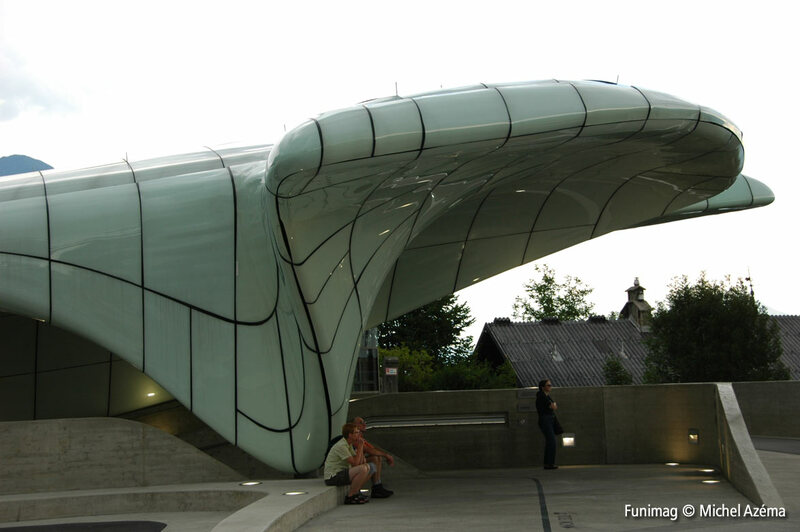 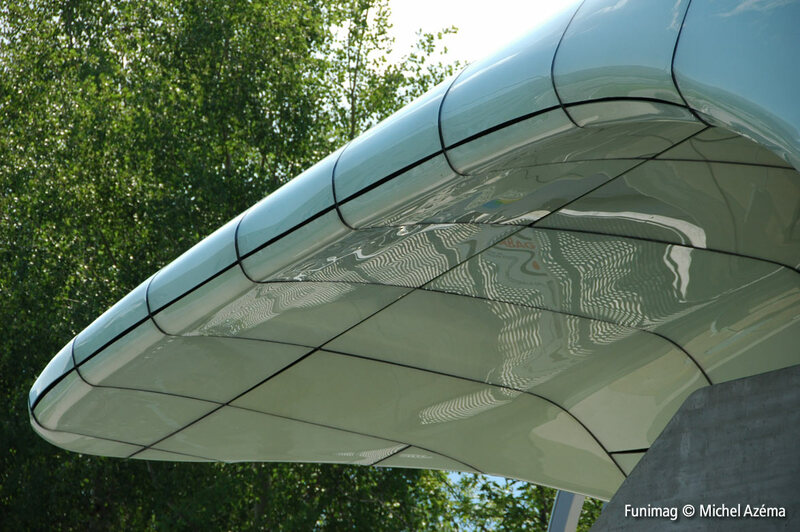 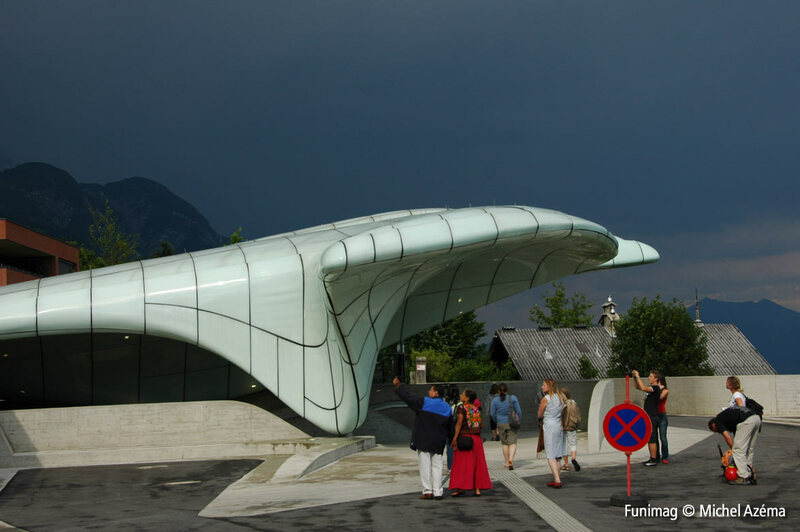 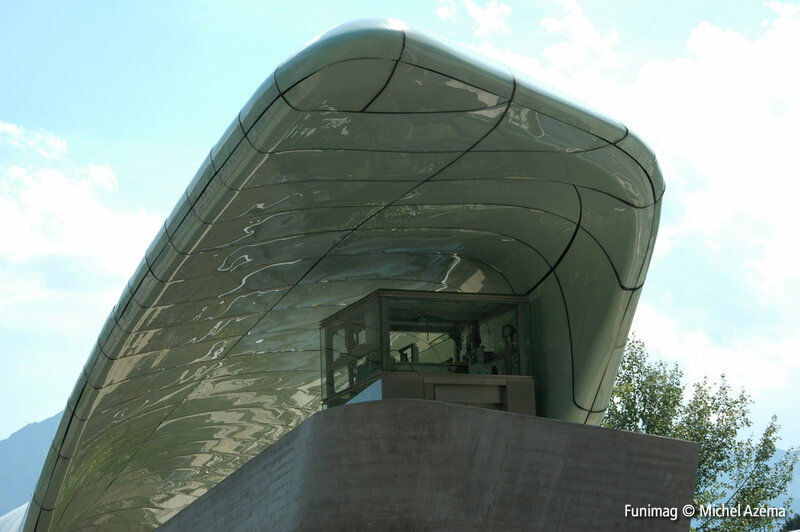 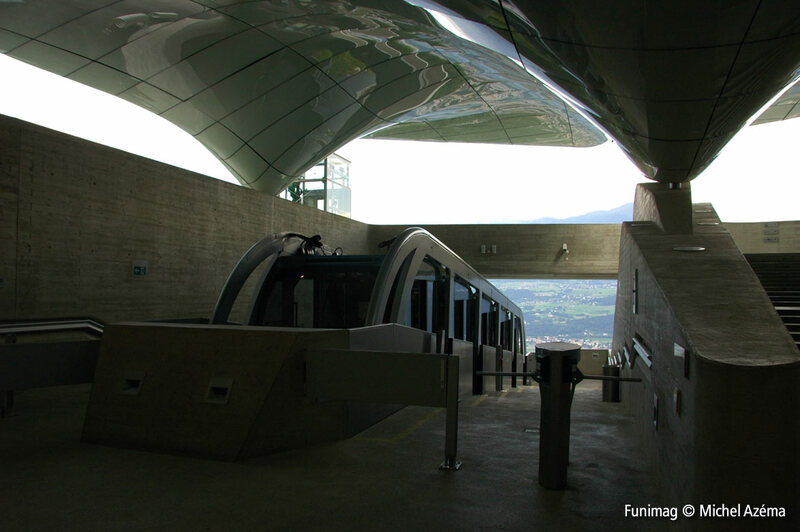 Bien entendu il s’agit du pont sur l’Inn du nouveau funiculaire Hungerburgbahn à Innsbruck (Autriche), pont conçu par l’architecte irakienne Zaha Hadid. 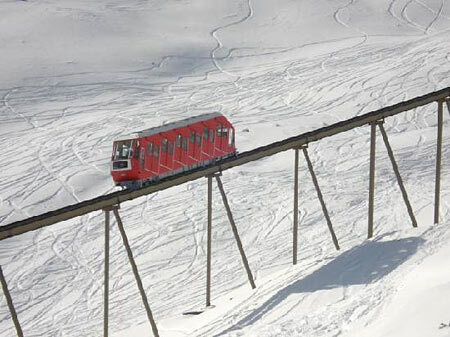 Mais j’attendais une légende plus complète parceque sur la photo il y a en fait deux funiculaires! 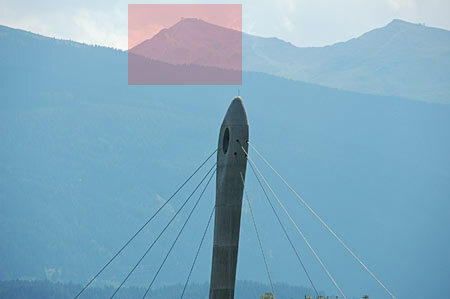 Look at the pink rectangle… below is a zoom of the rectangle. 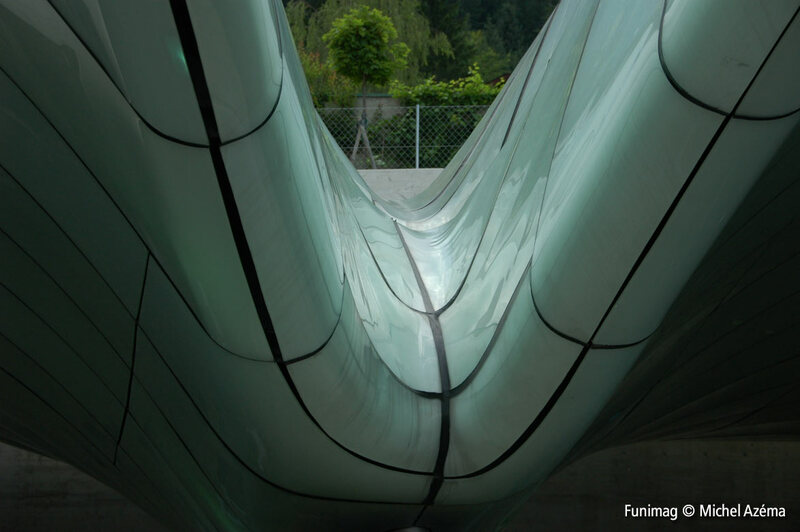 Regardez le rectangle rose… ci-dessous c’est l’agrandissement du rectangle. 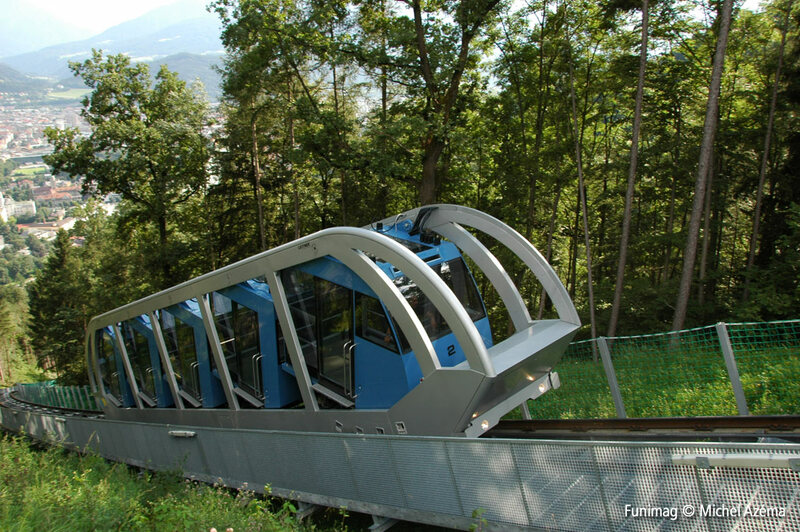 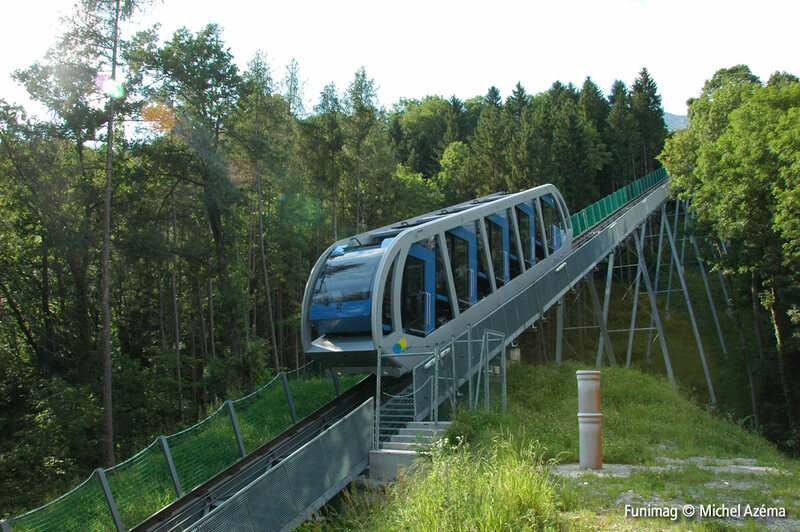 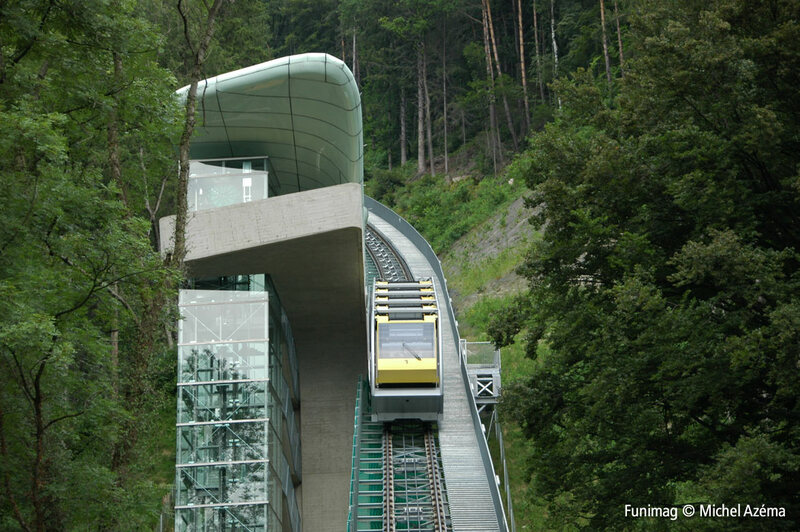 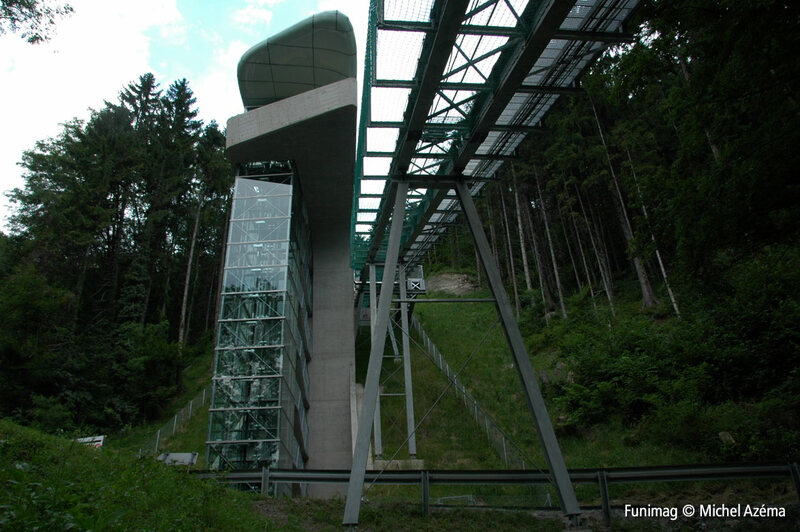 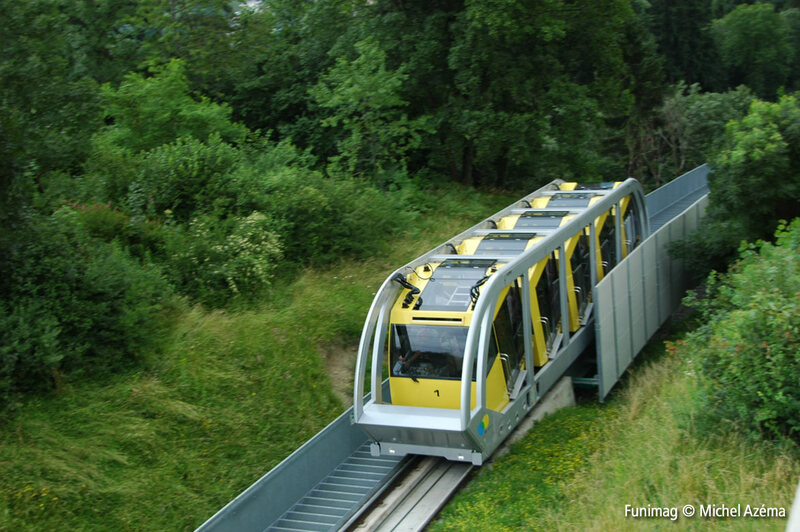 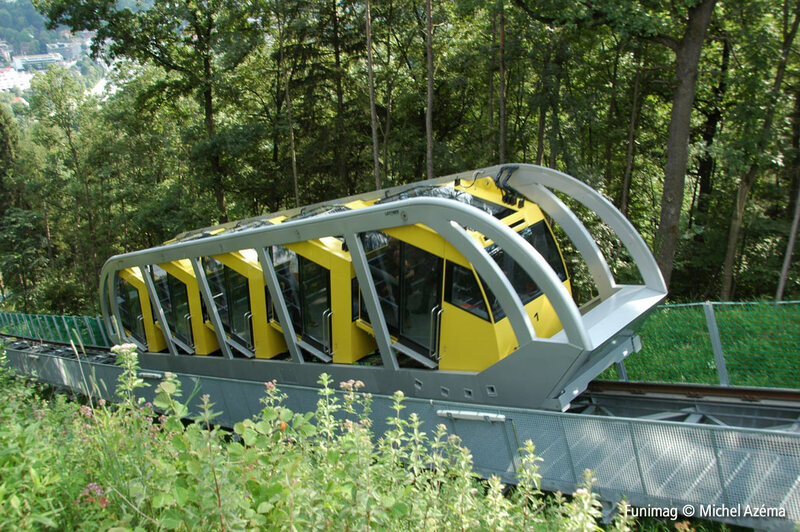 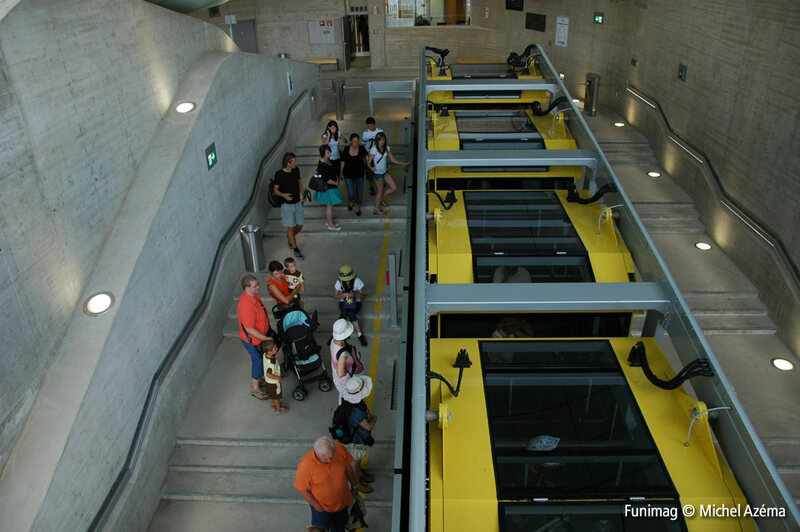 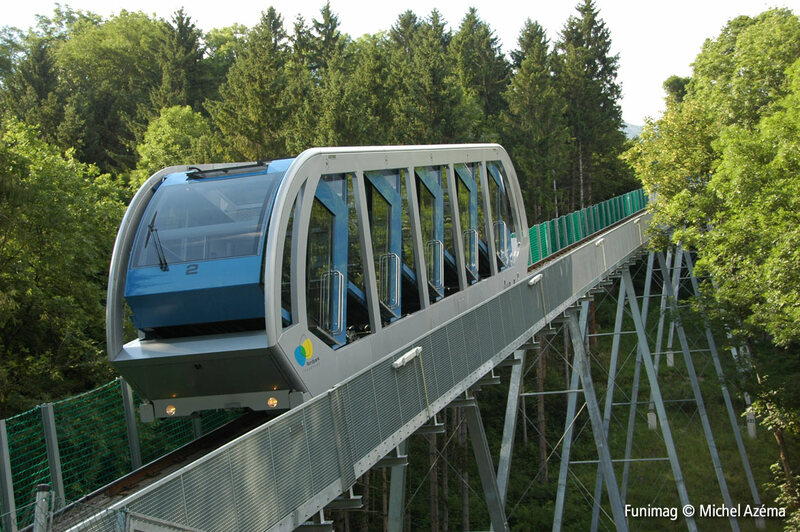 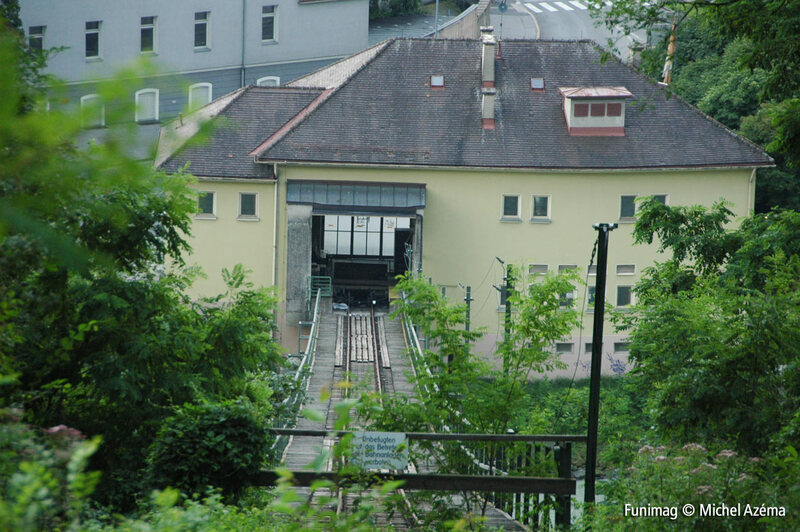 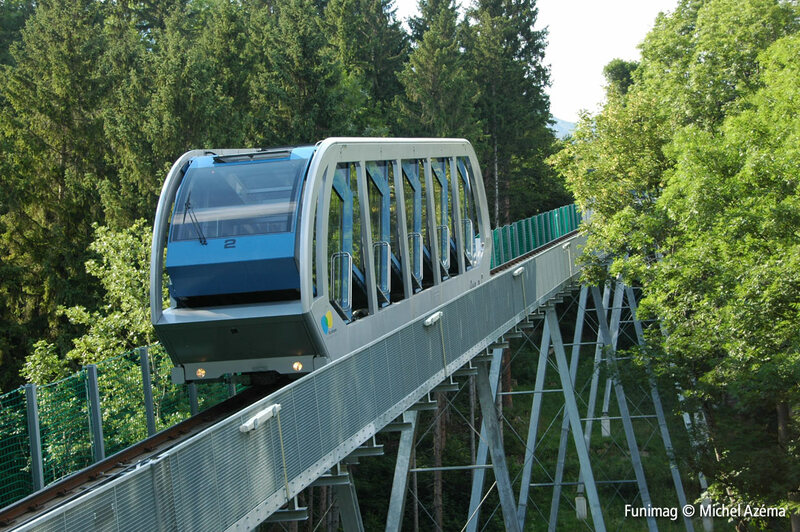 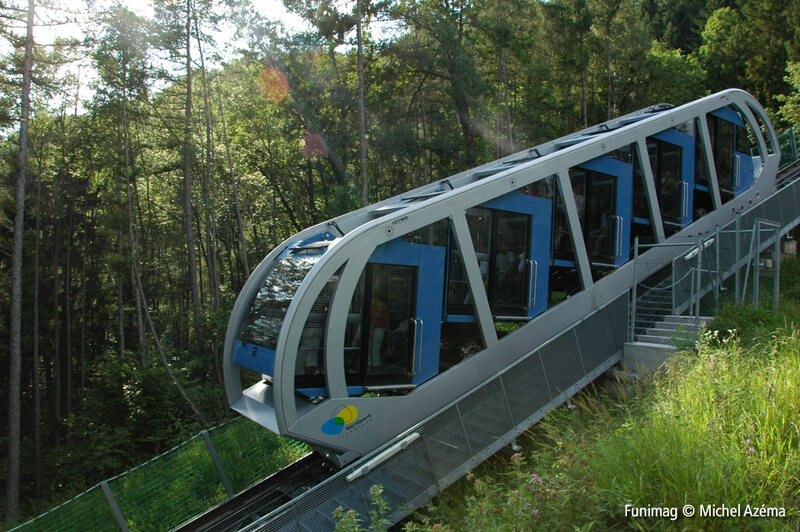 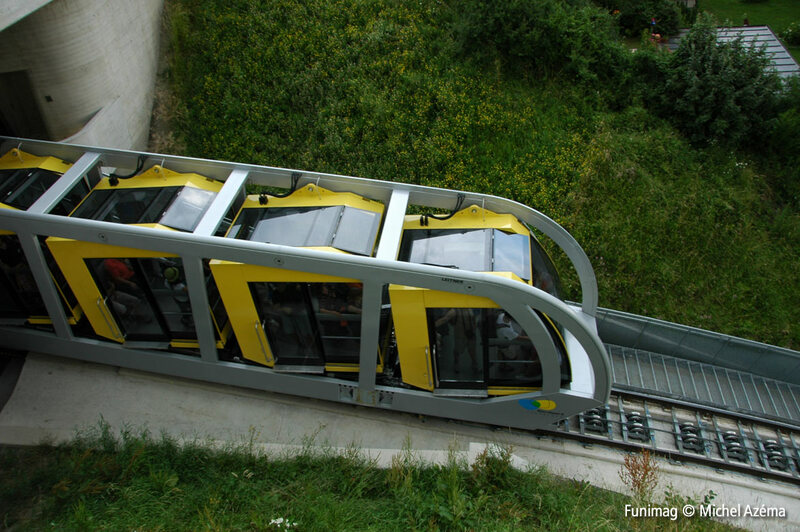 Here is the second funicular! 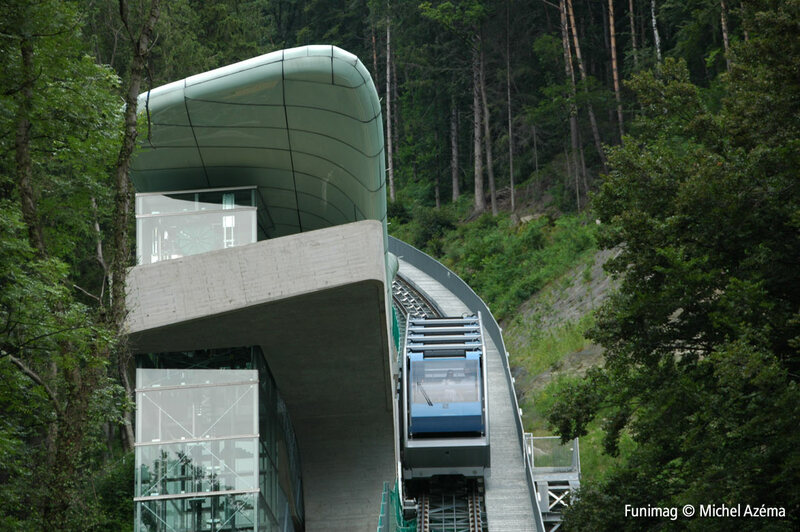 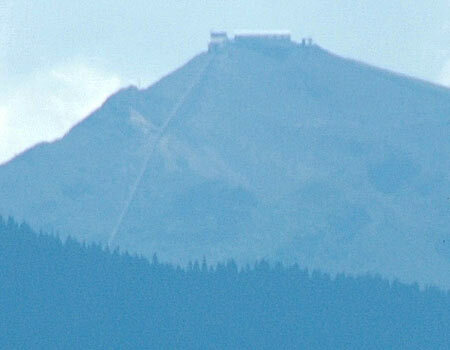 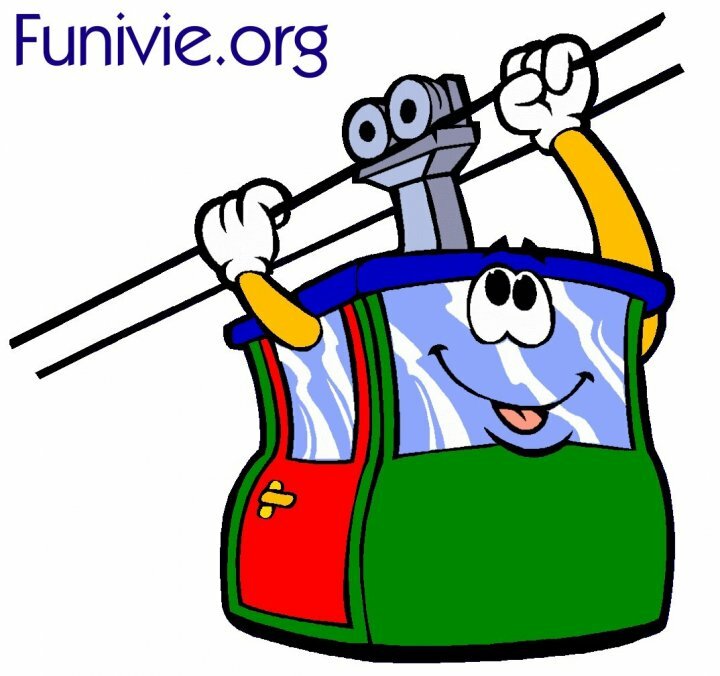 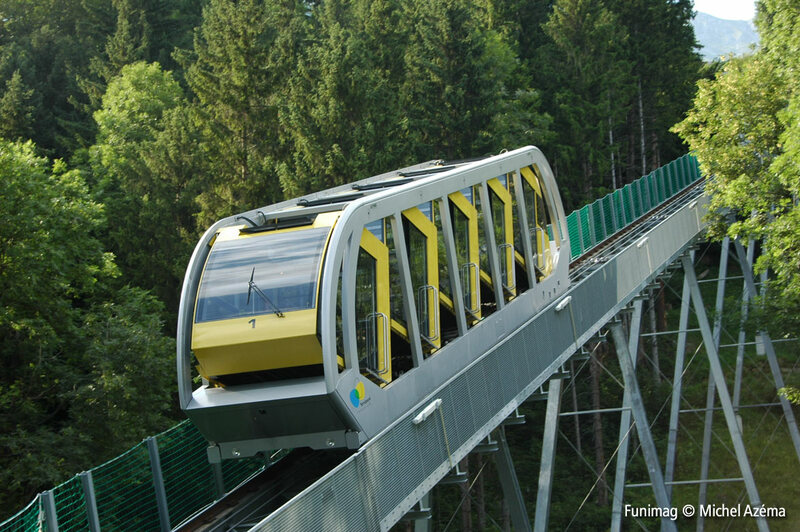 It is the Axamer Lizum funicular (Olympiabahn) which climbs to the Hoadl summit (2340 m) ! 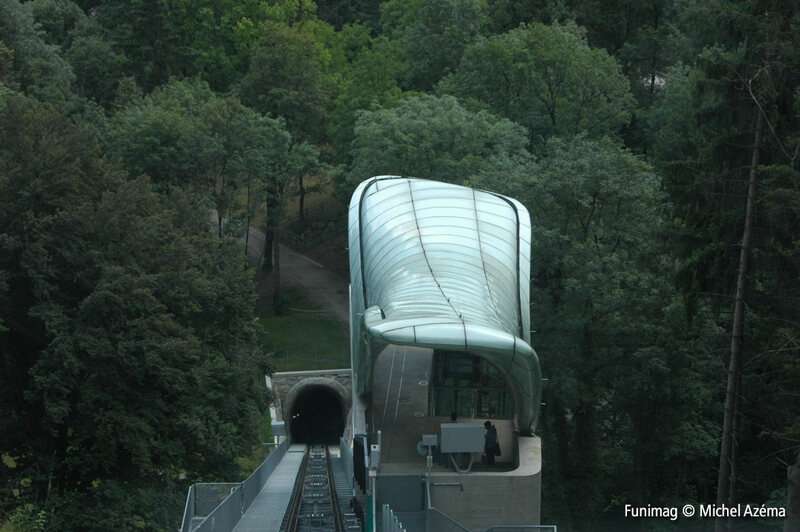 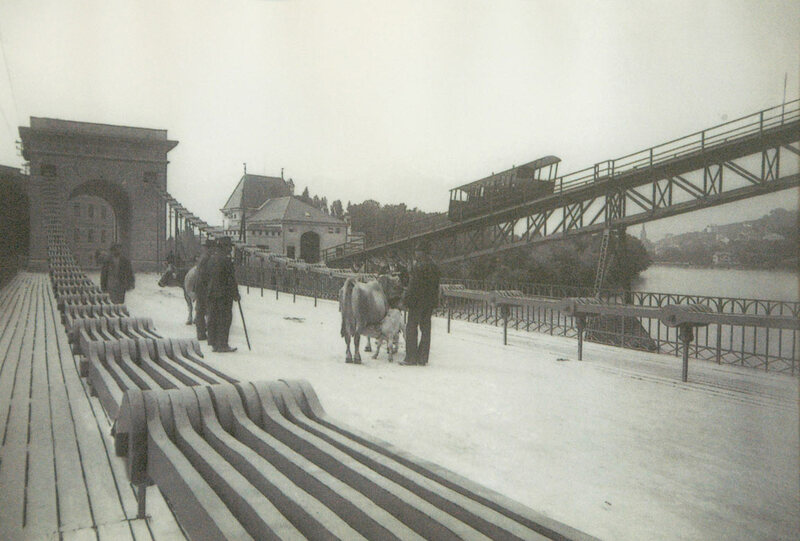 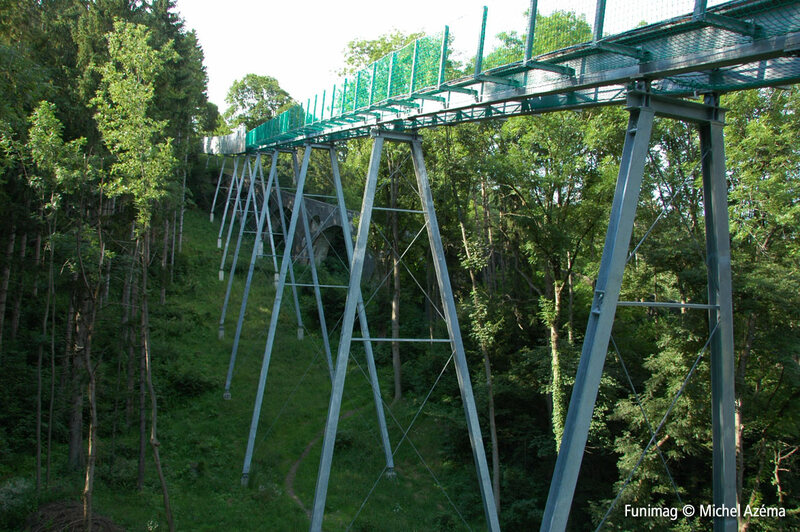 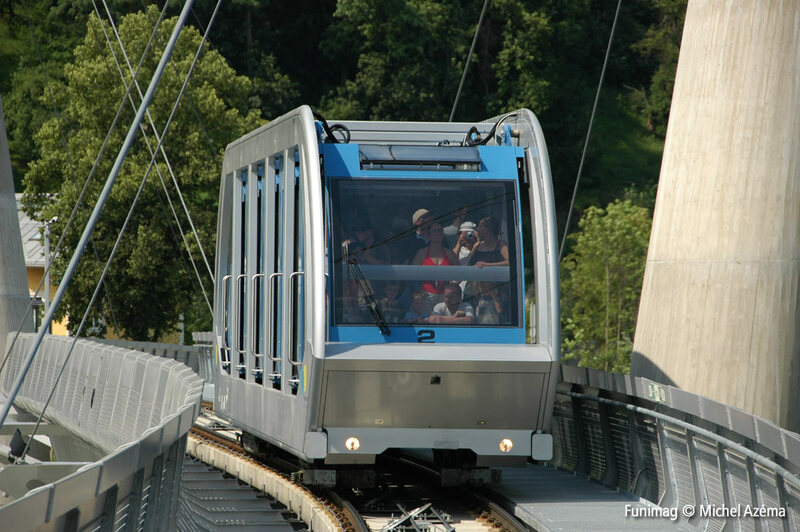 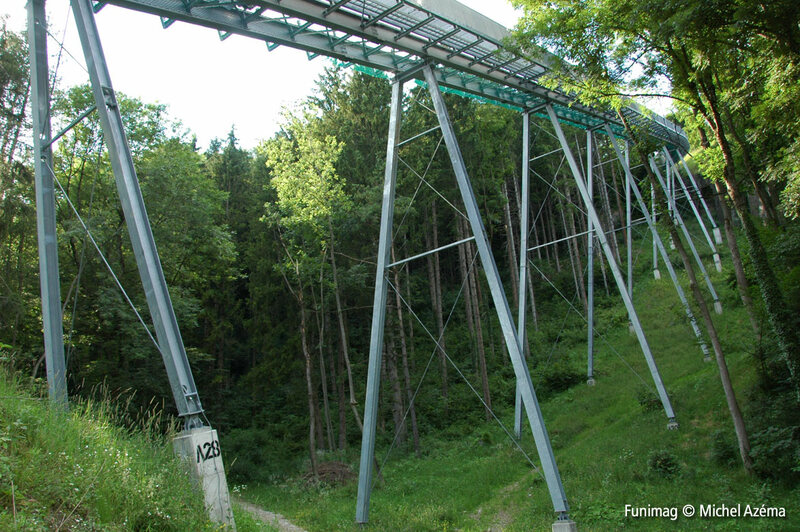 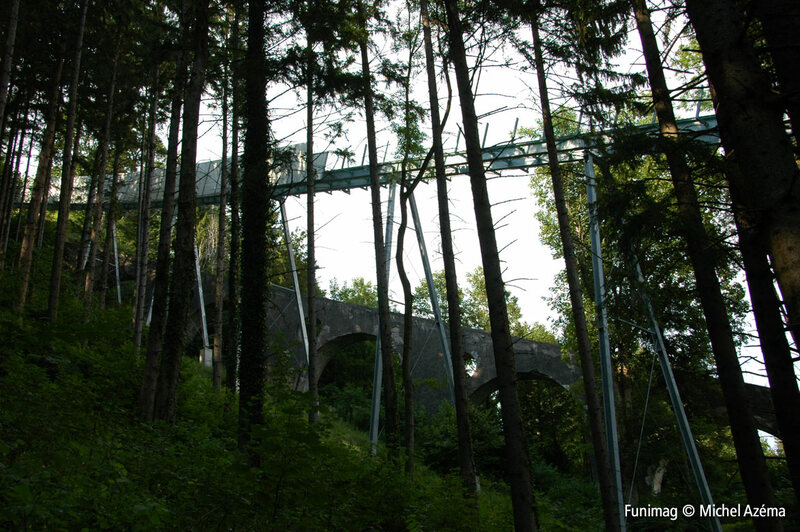 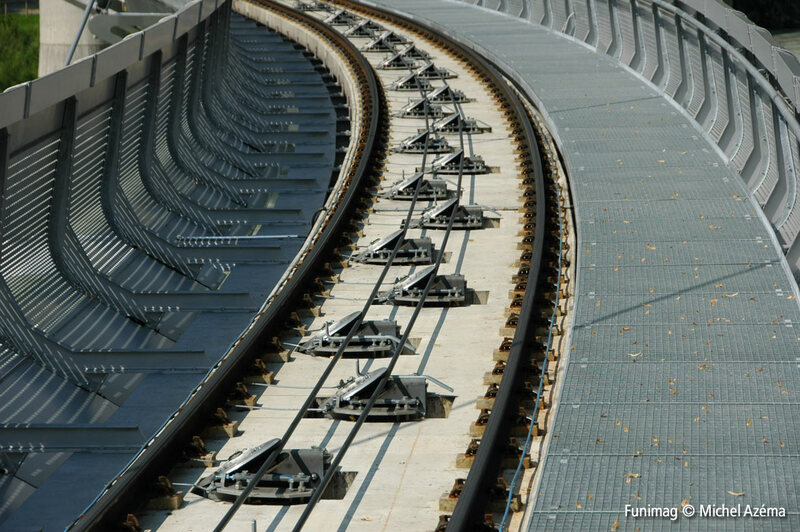 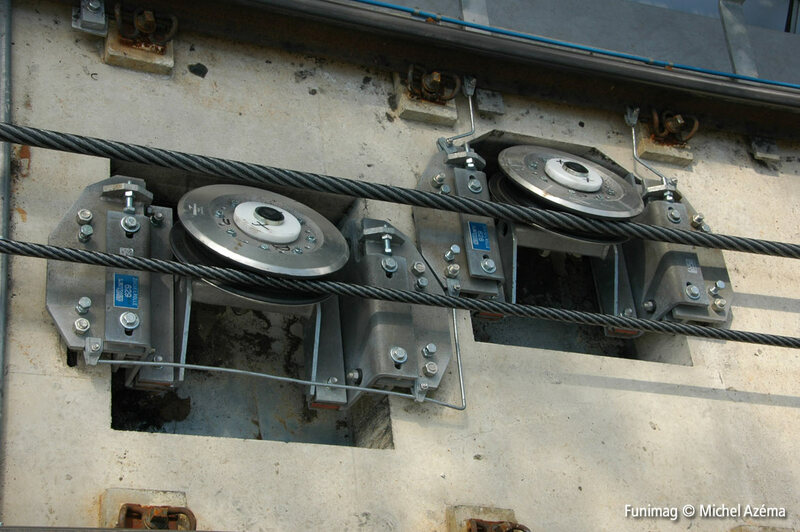 Et voici le second funiculaire! 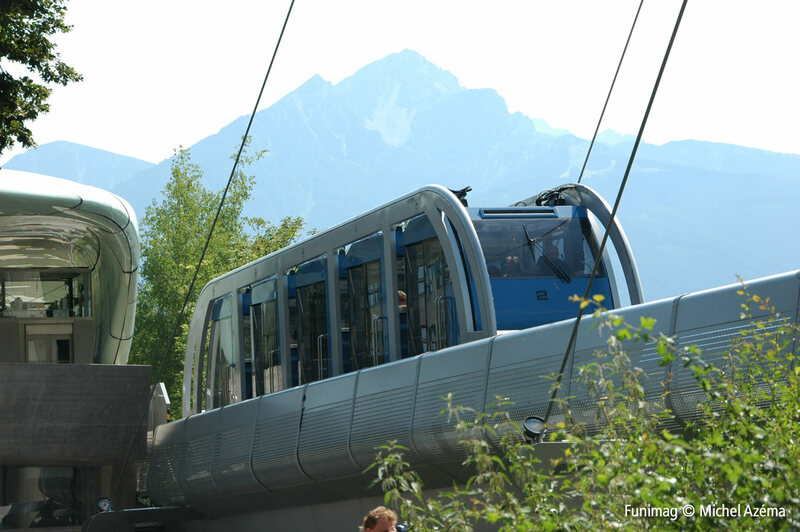 Il s’agit du funiculaire d’Axamer Lizum (Olympiabahn) qui grimpe au sommet du Hoadl (2340 m) ! 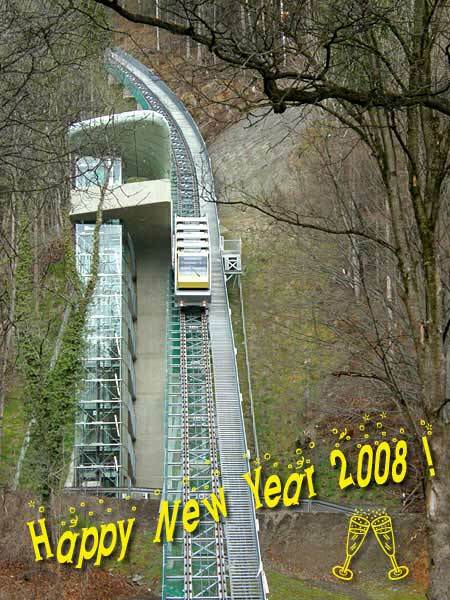 Author FunimagPosted on January 1, 2008 January 3, 2008 Categories Austria, Funimag IssuesTags Austria, Funimag, hungerburgbahn, Innsbruck, Zaha Hadid9 Comments on Happy New Year 2008!